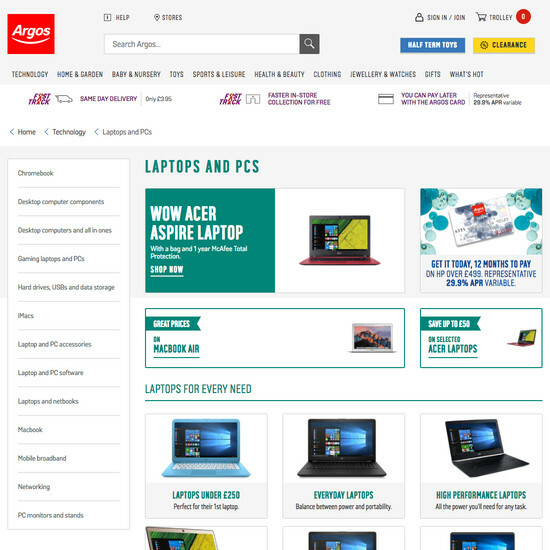 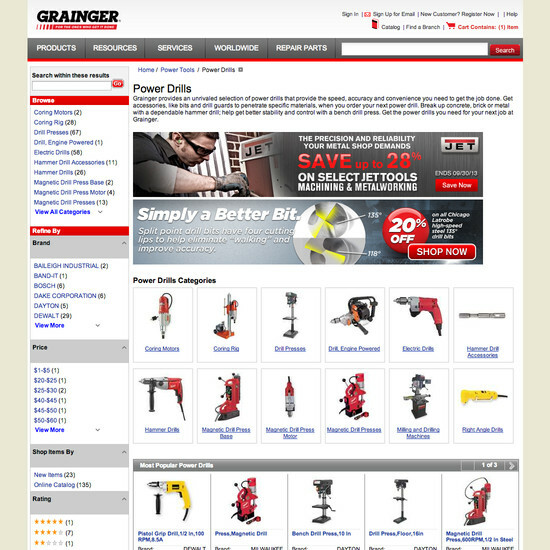 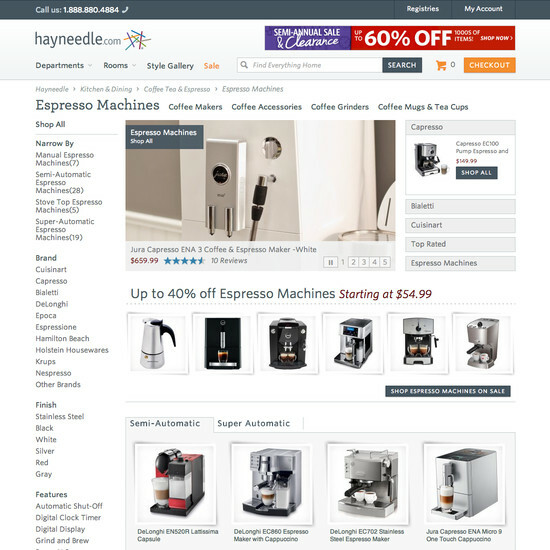 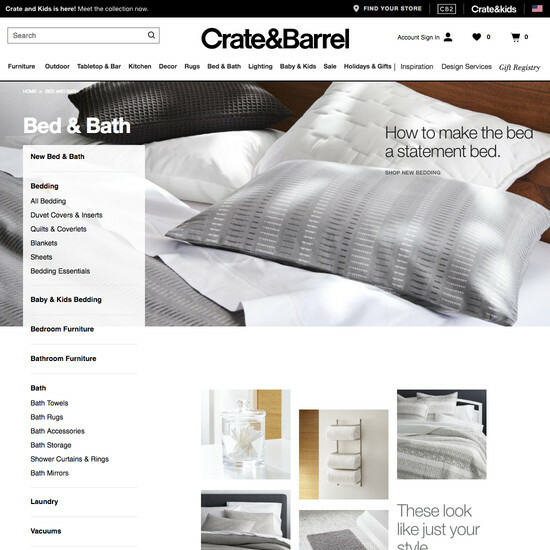 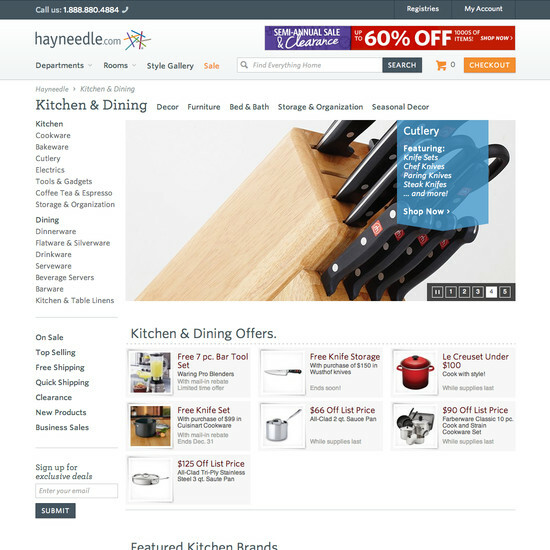 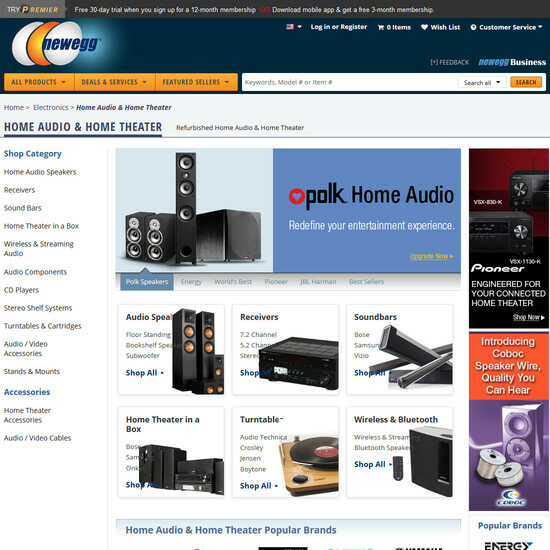 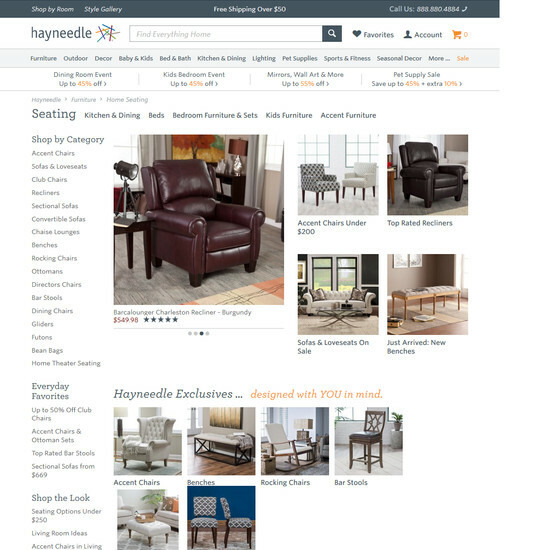 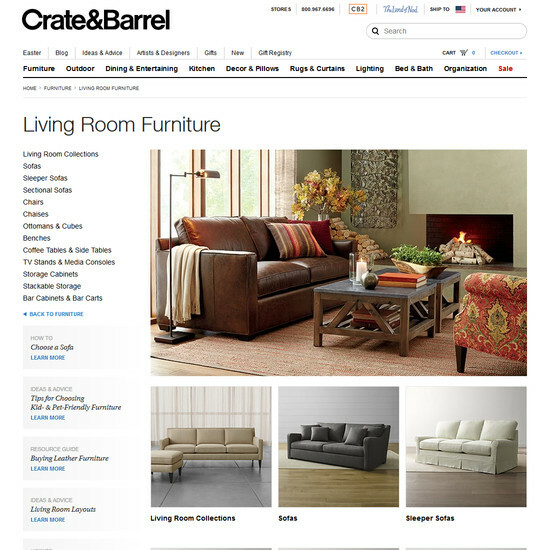 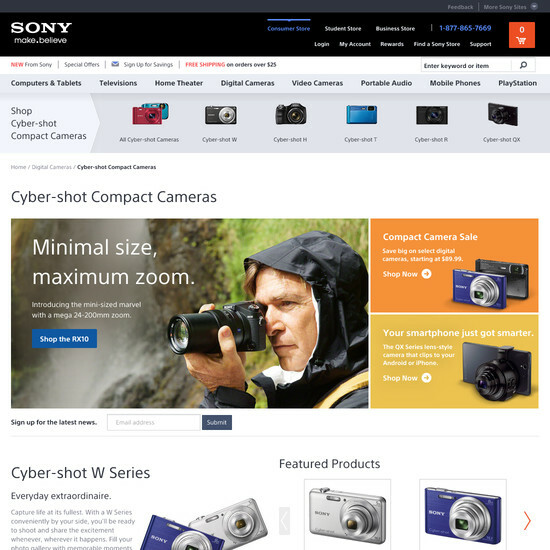 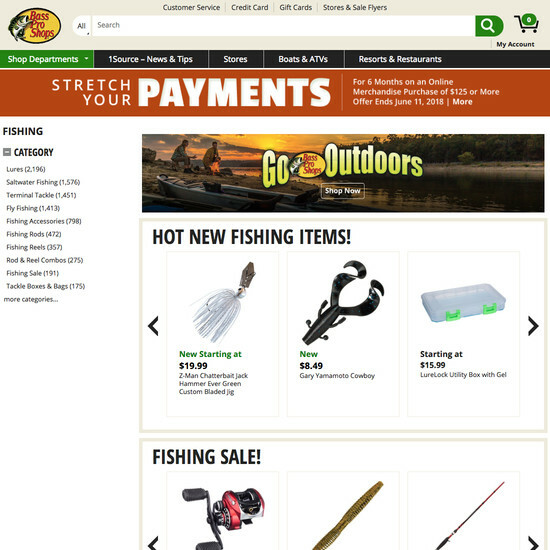 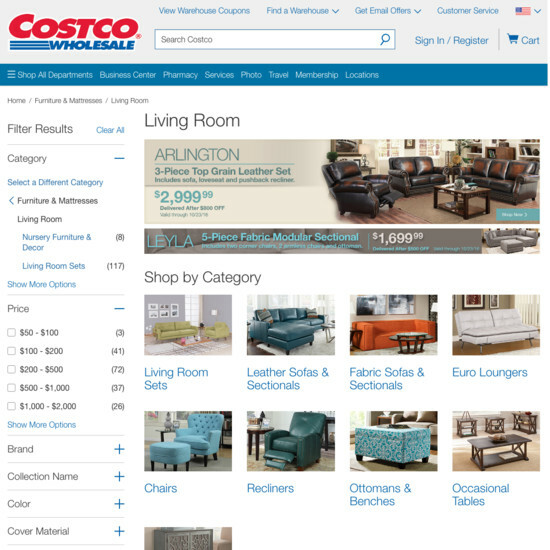 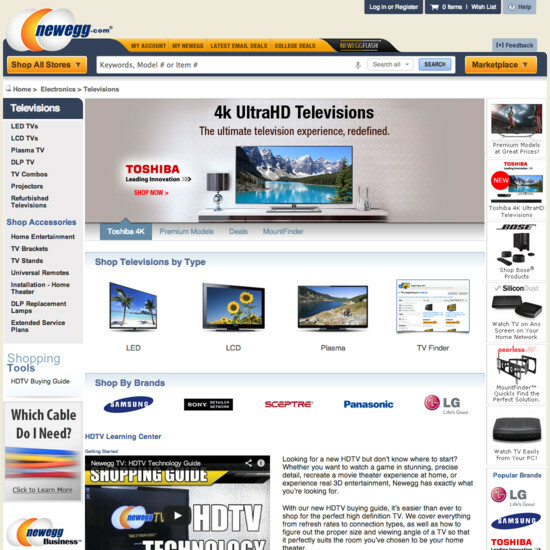 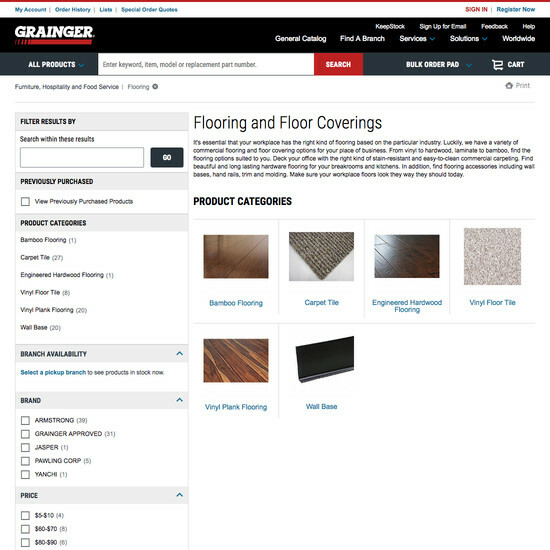 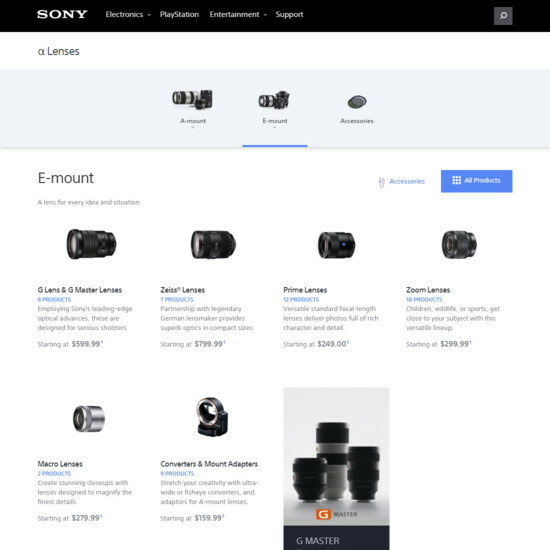 Intermediary Category Pages are category pages used at the first 1–3 levels of a site’s category hierarchy (depending on the size of the product catalog). 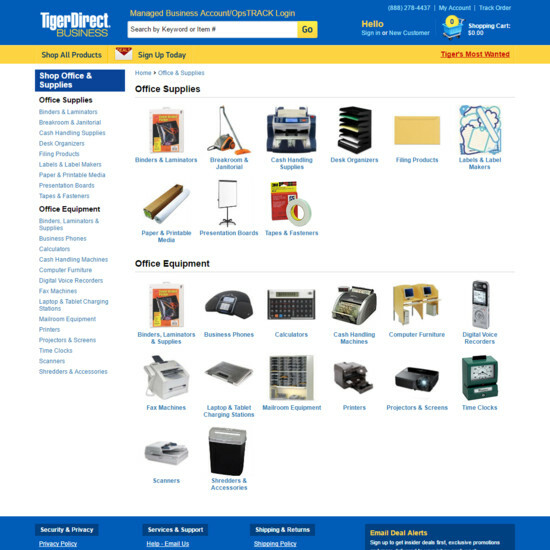 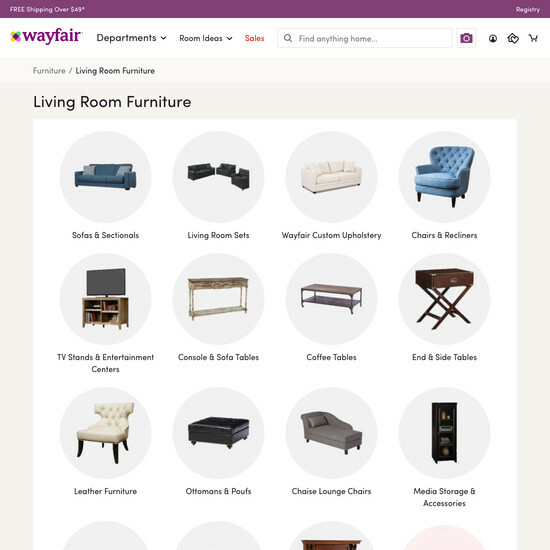 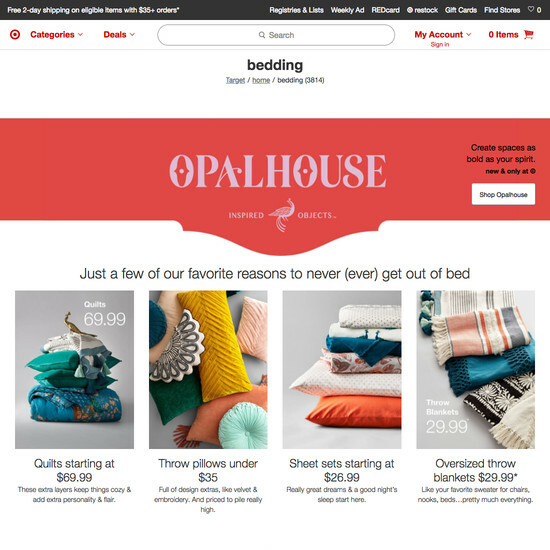 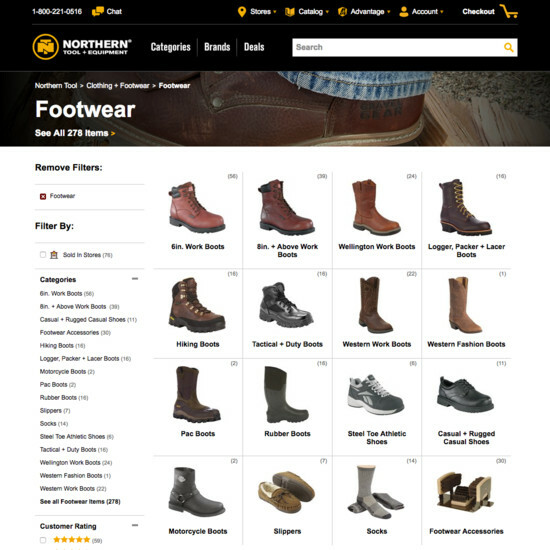 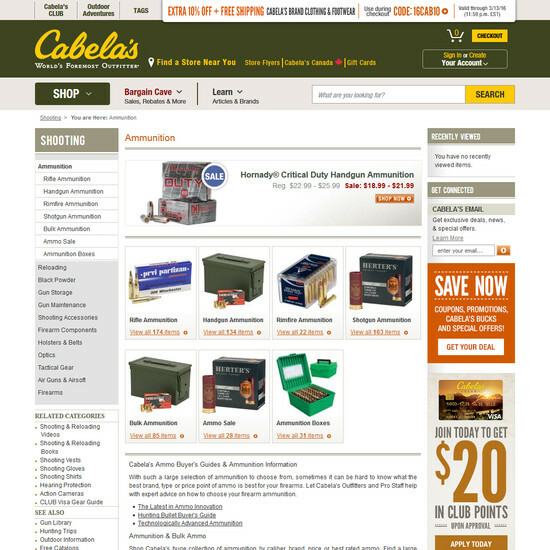 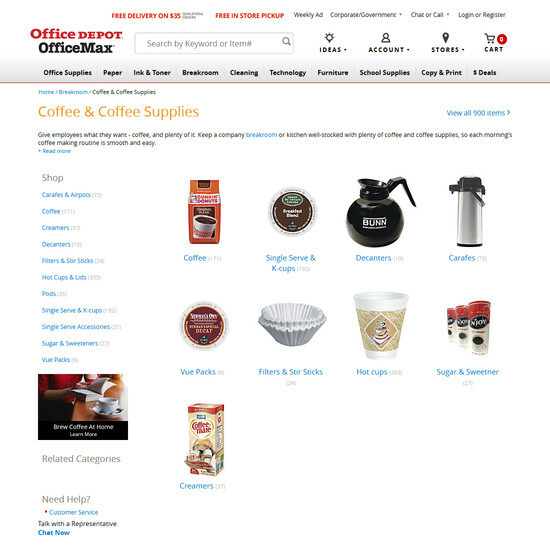 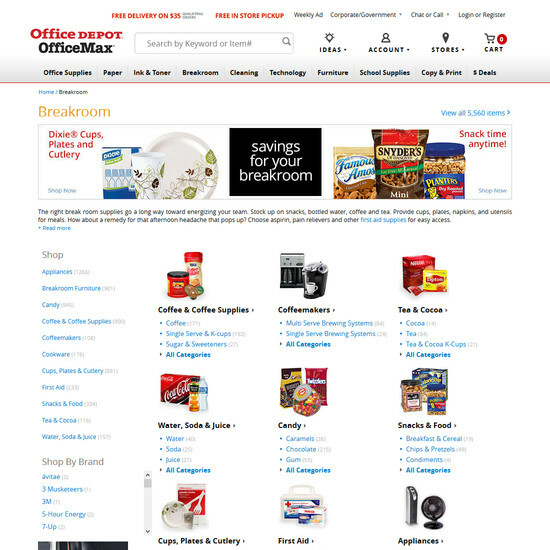 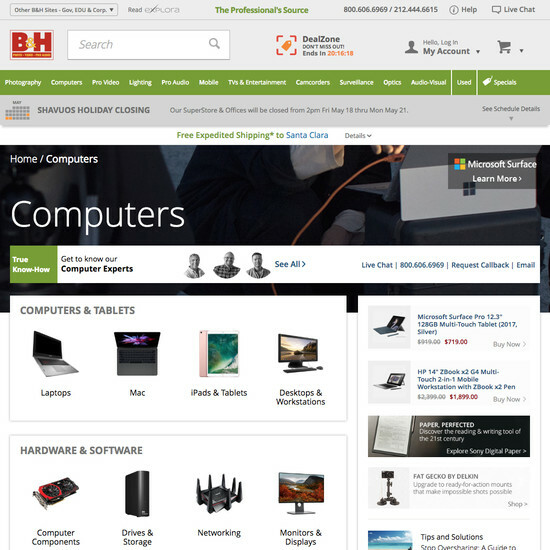 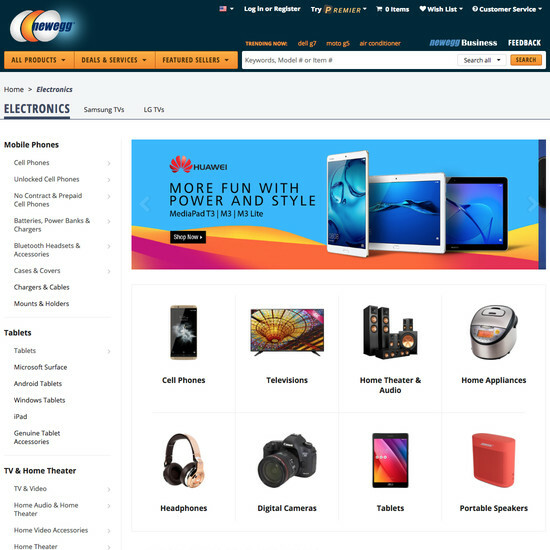 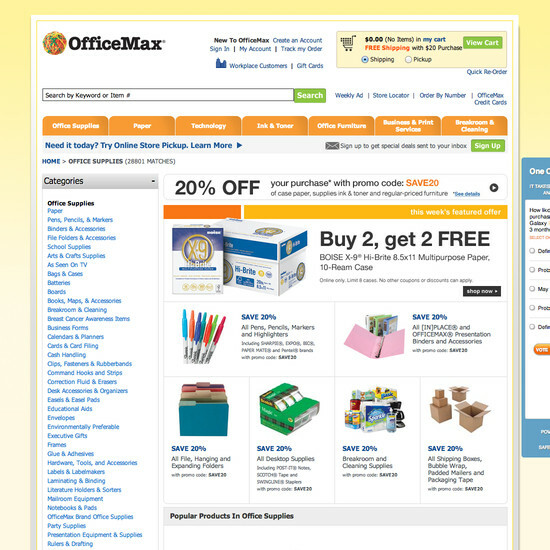 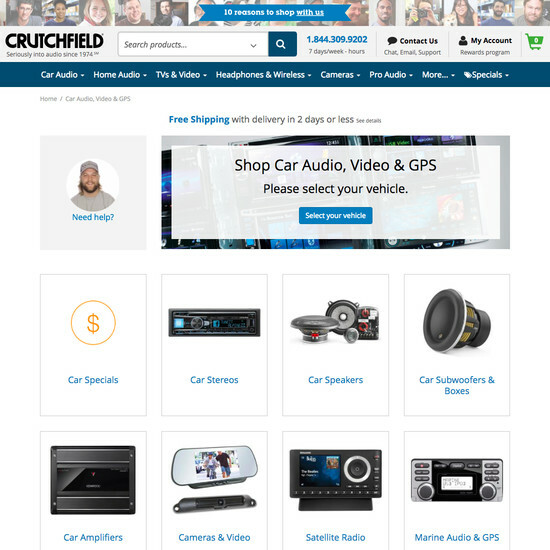 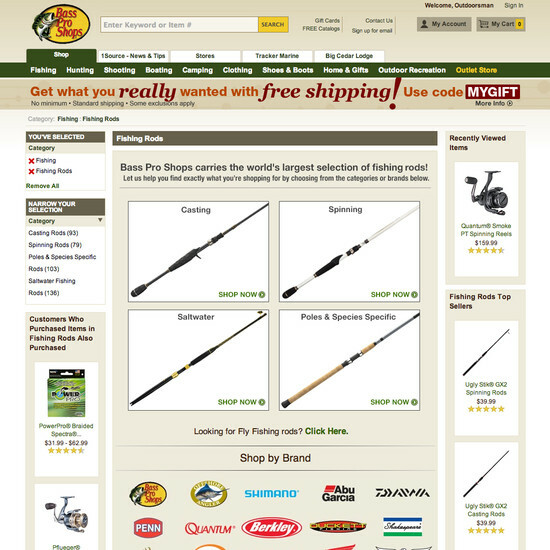 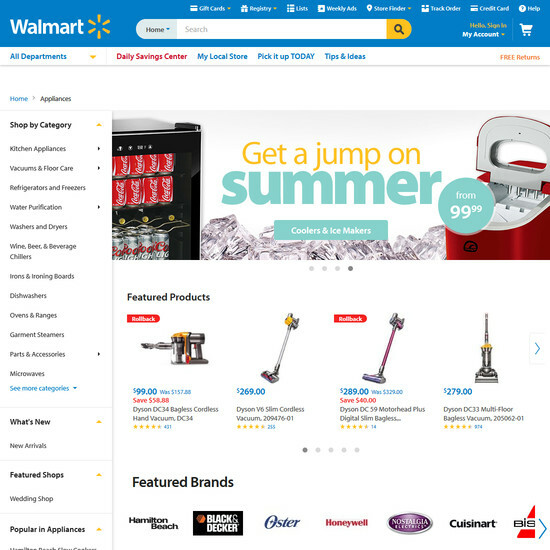 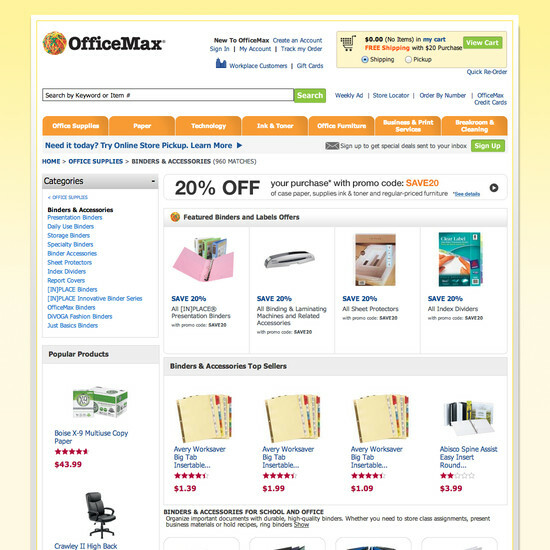 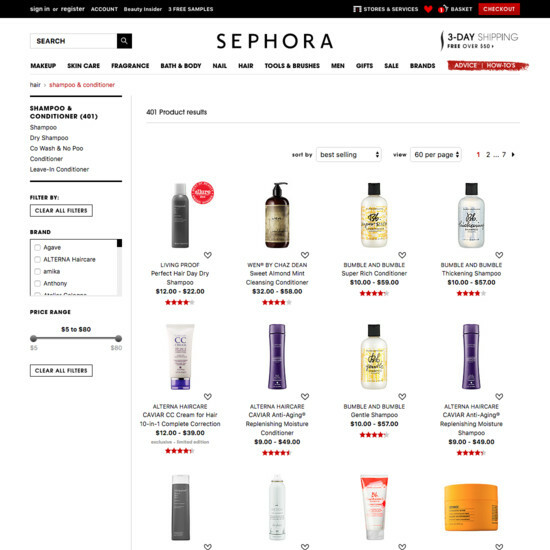 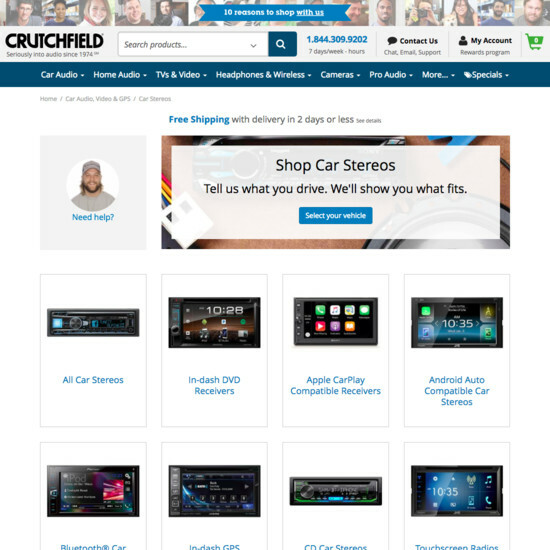 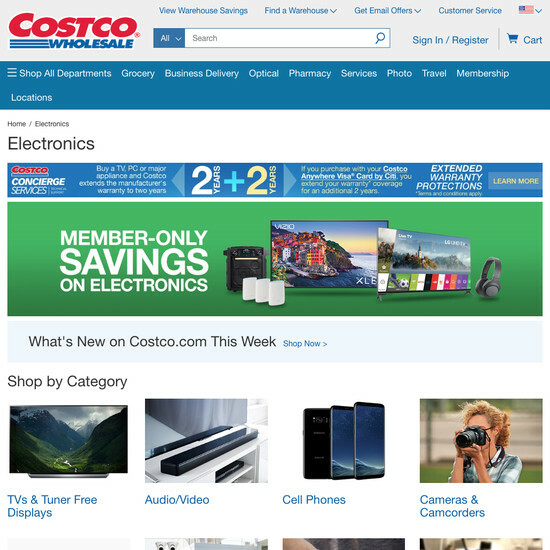 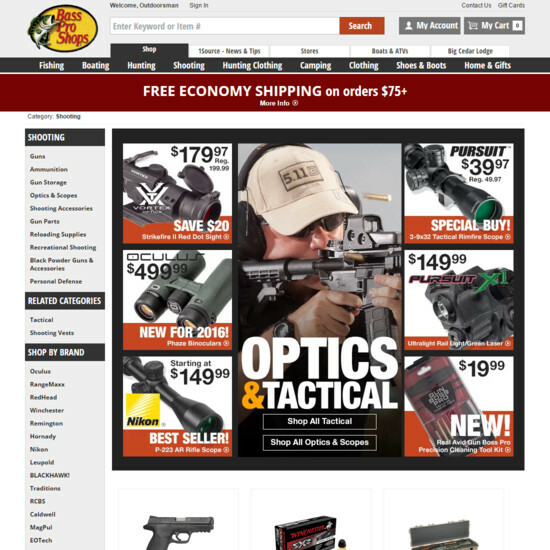 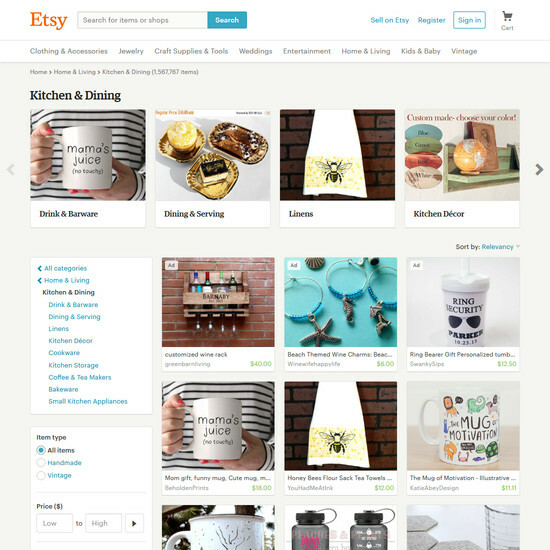 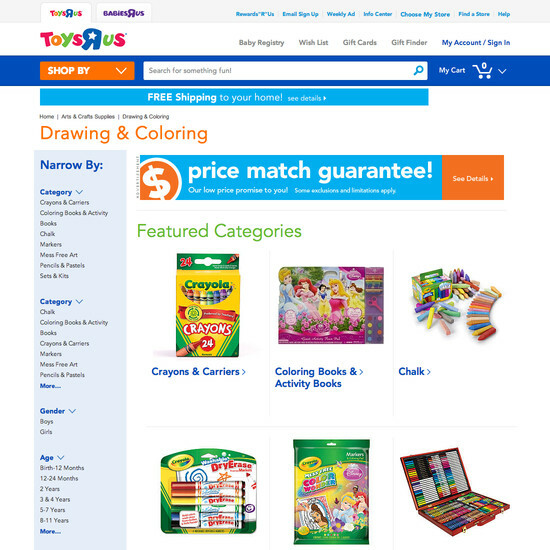 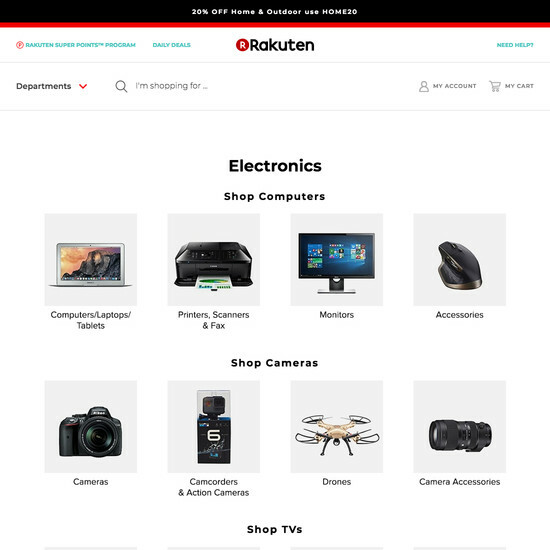 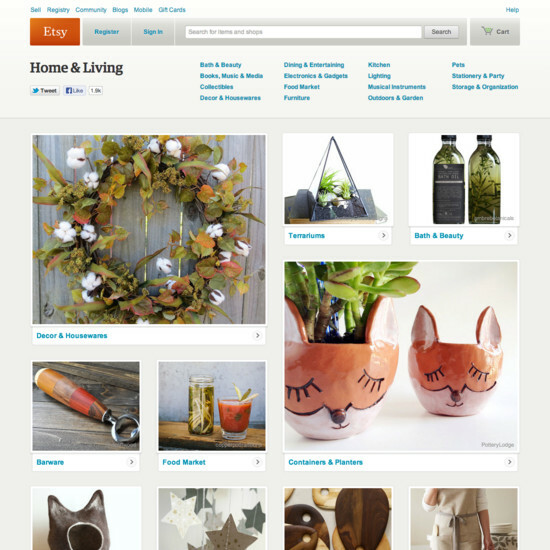 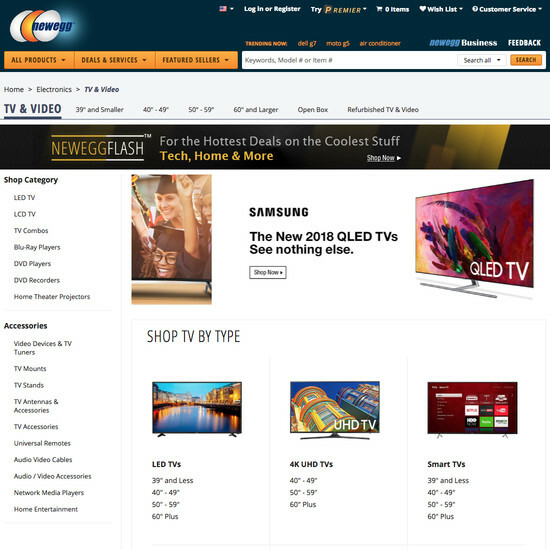 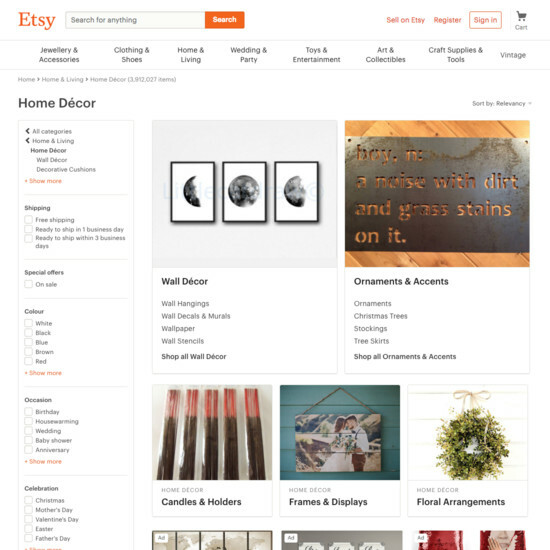 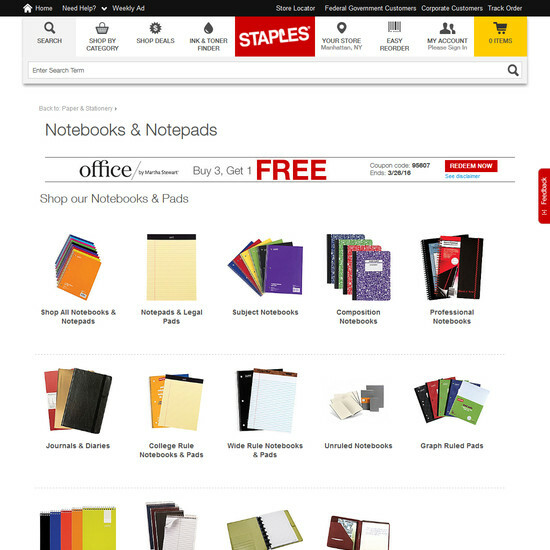 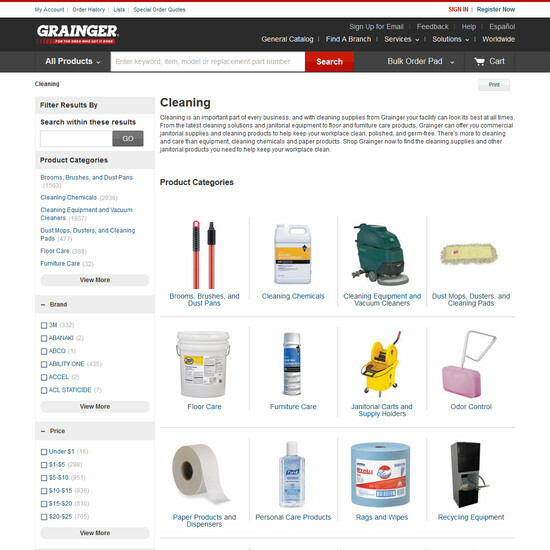 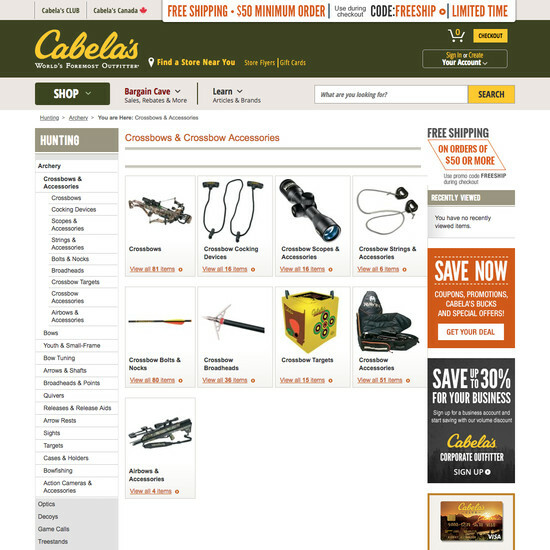 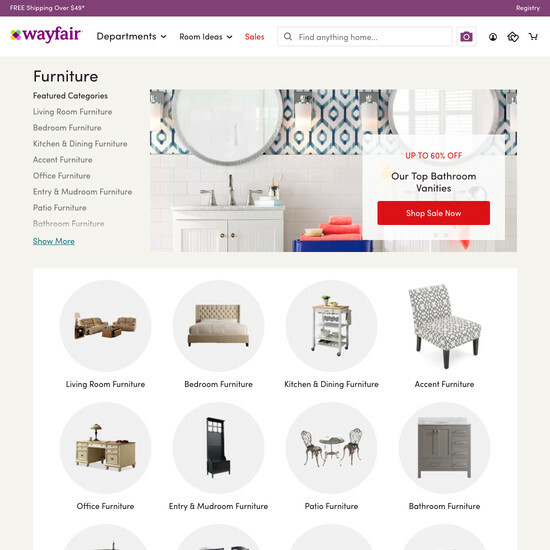 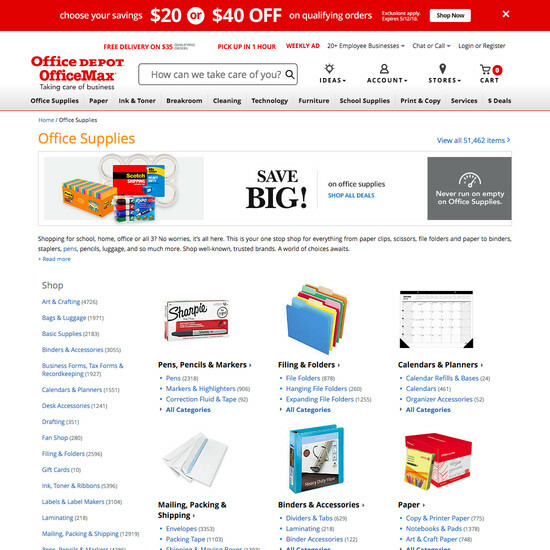 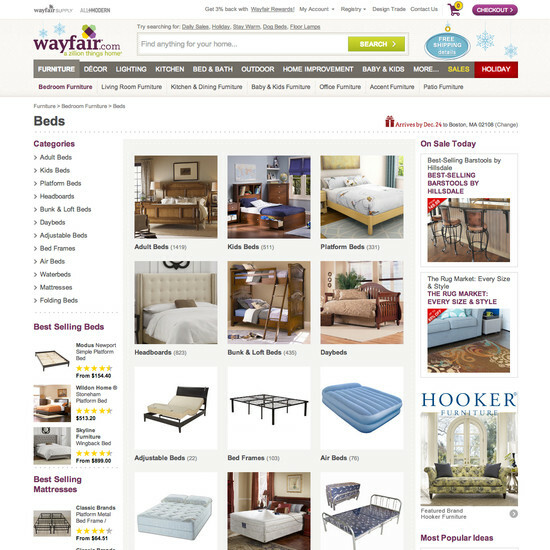 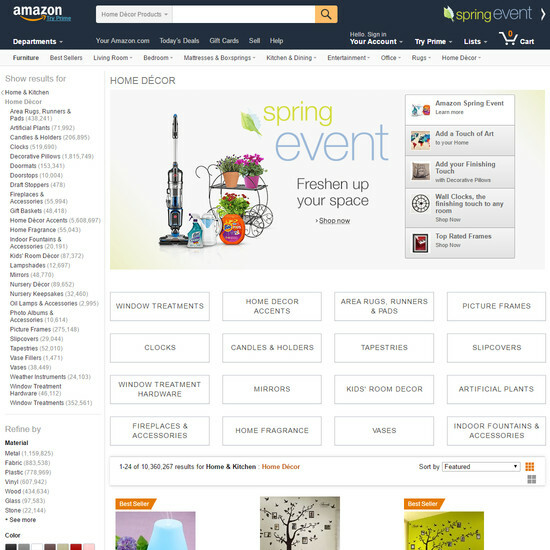 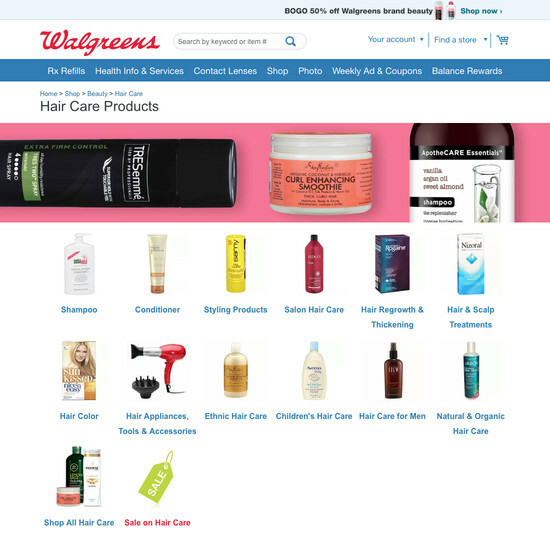 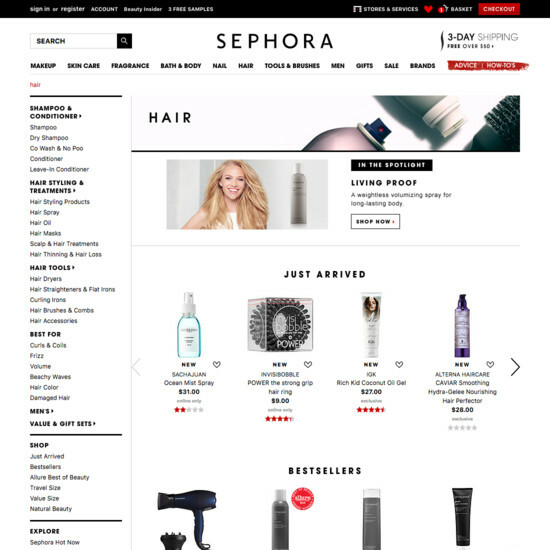 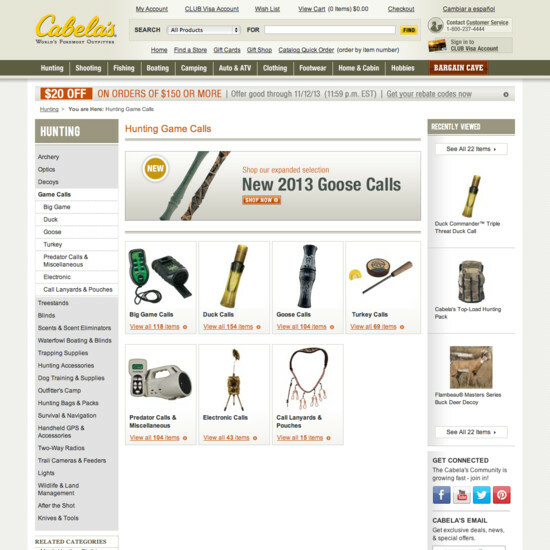 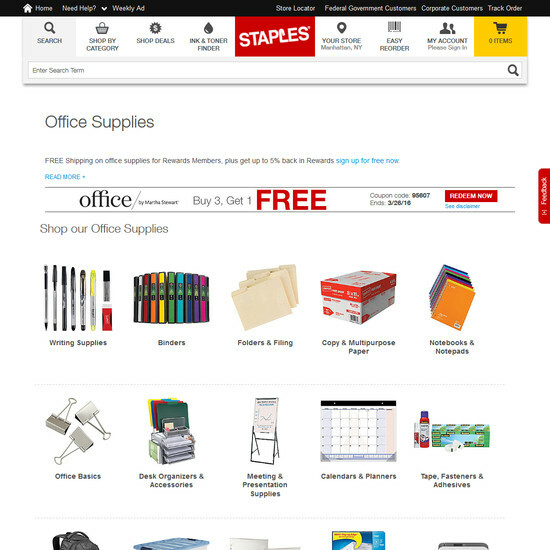 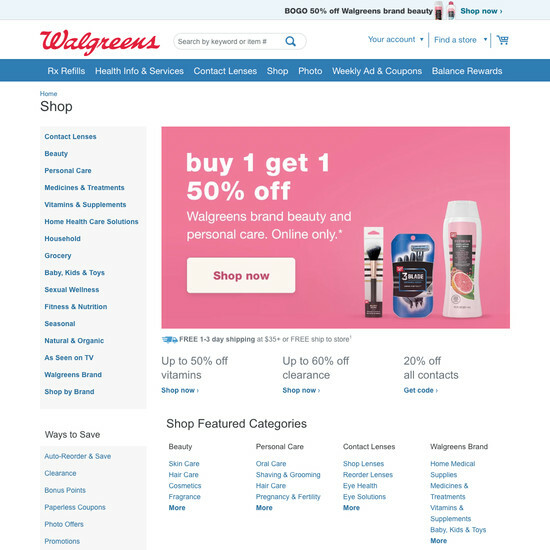 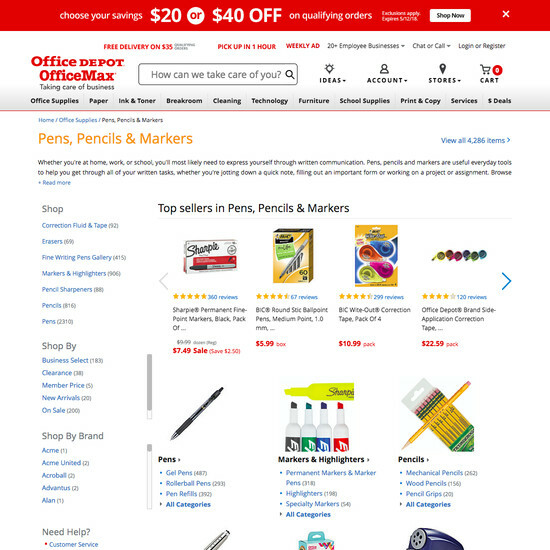 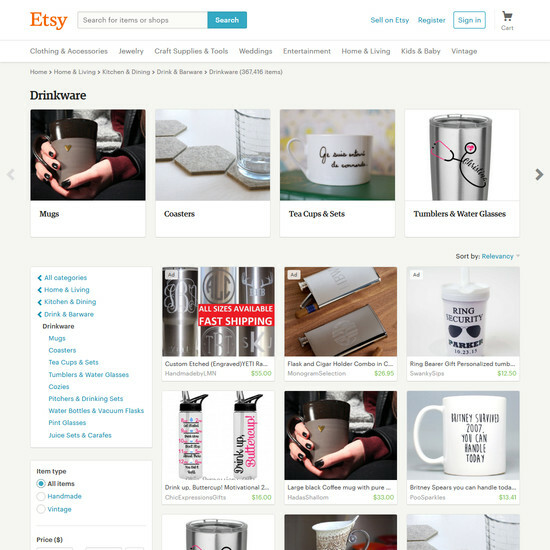 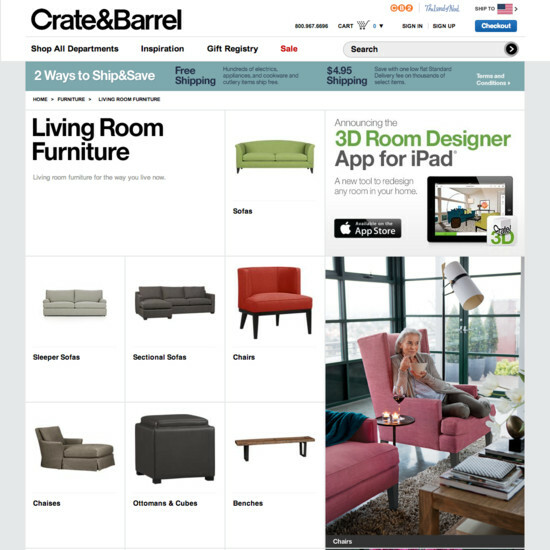 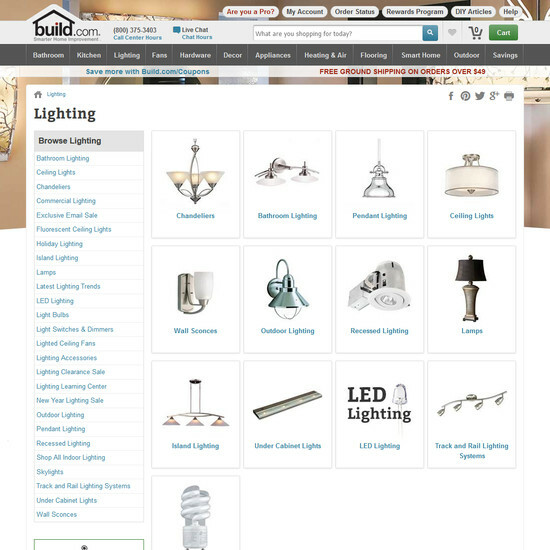 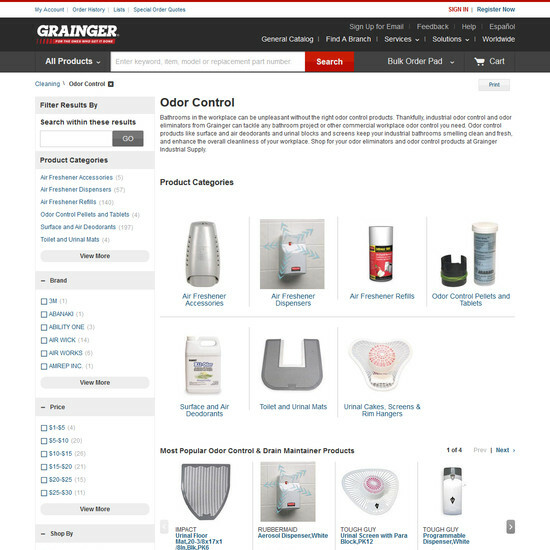 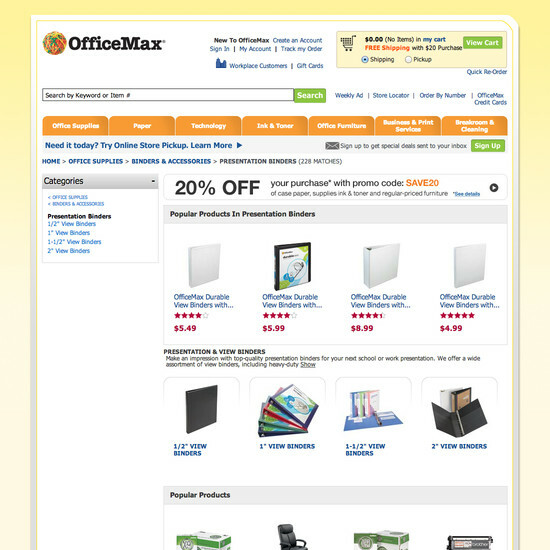 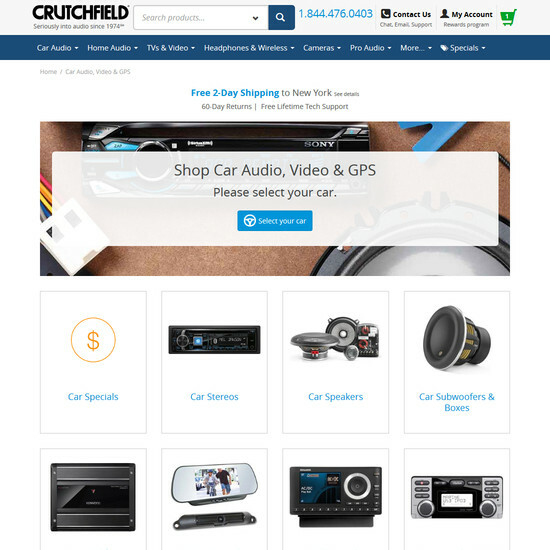 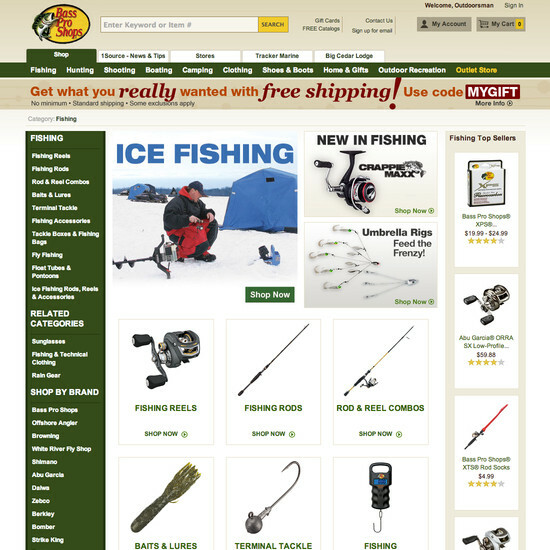 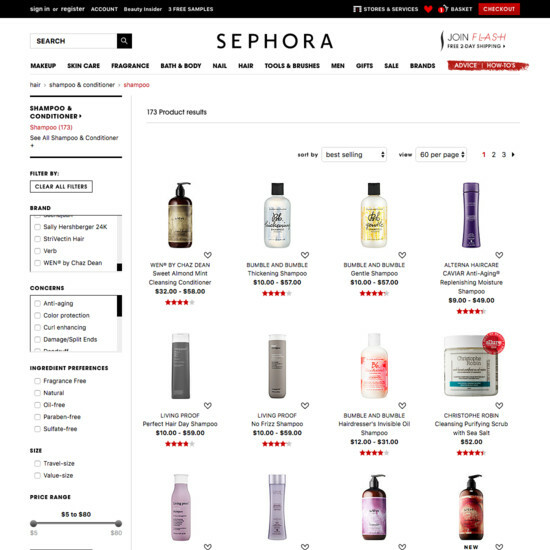 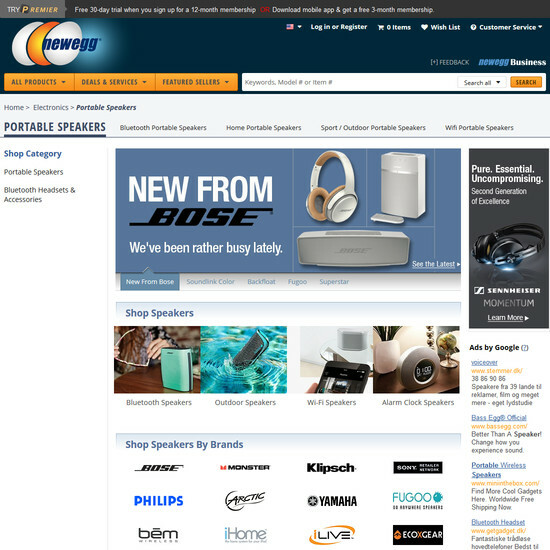 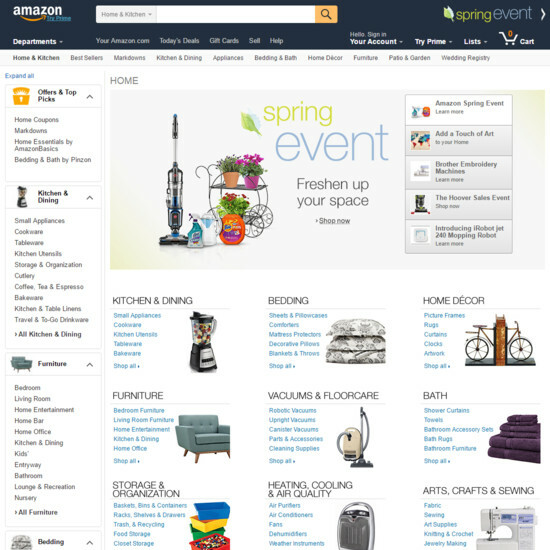 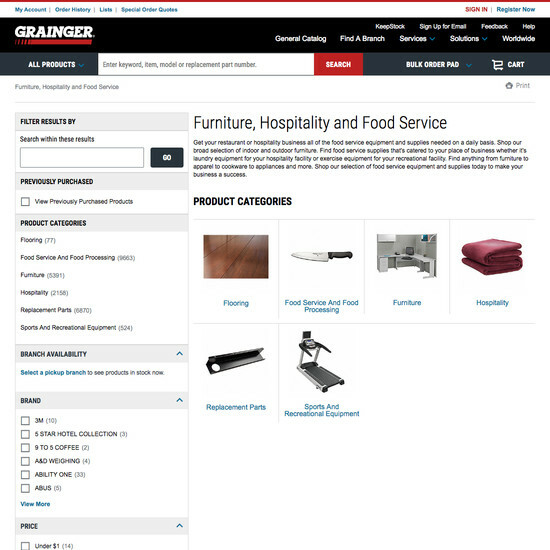 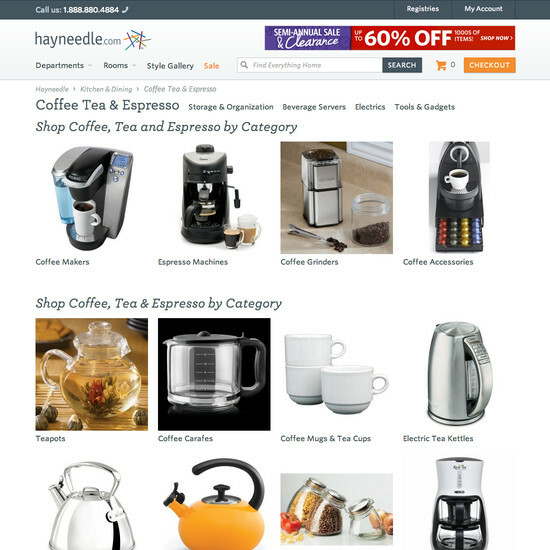 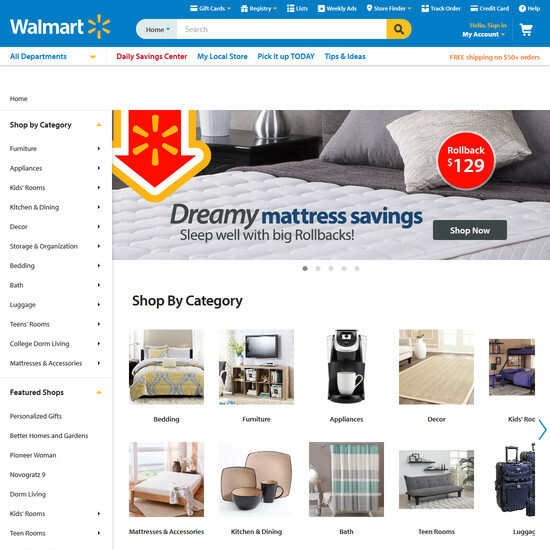 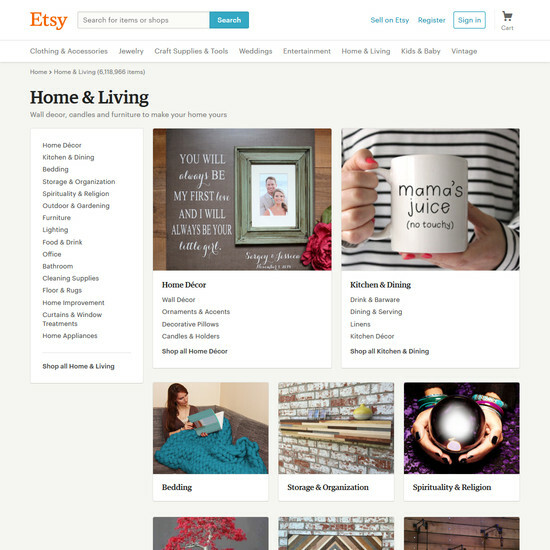 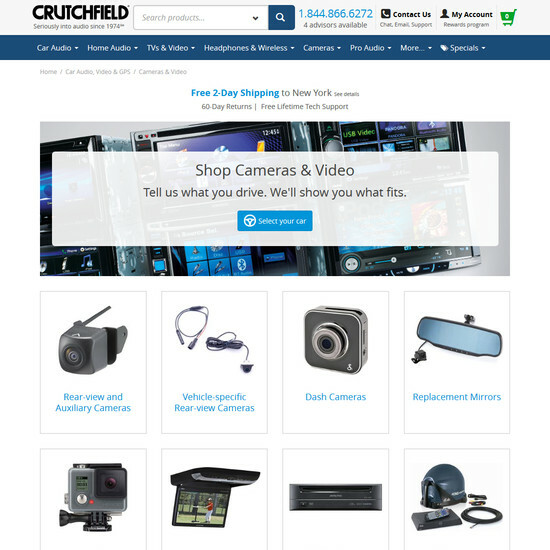 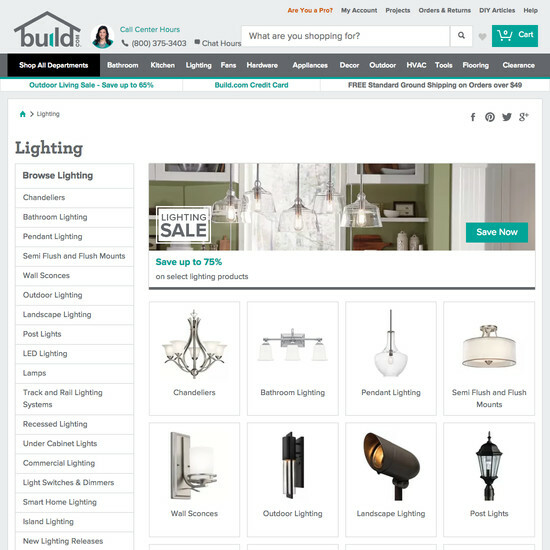 They are unique because they don’t show a list of products, but rather show all the available subcategories they contain — each depicted with a representative thumbnail. 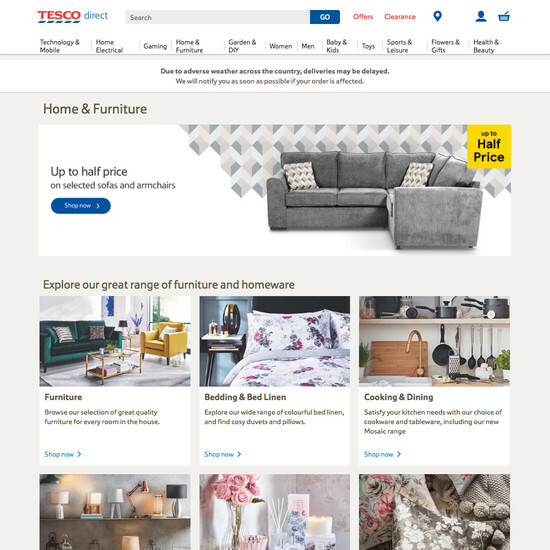 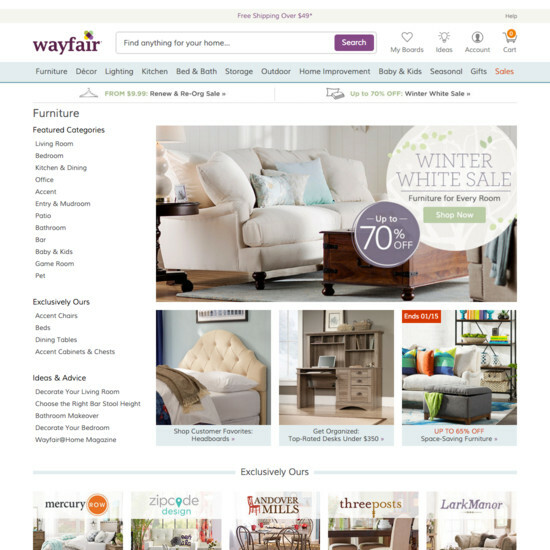 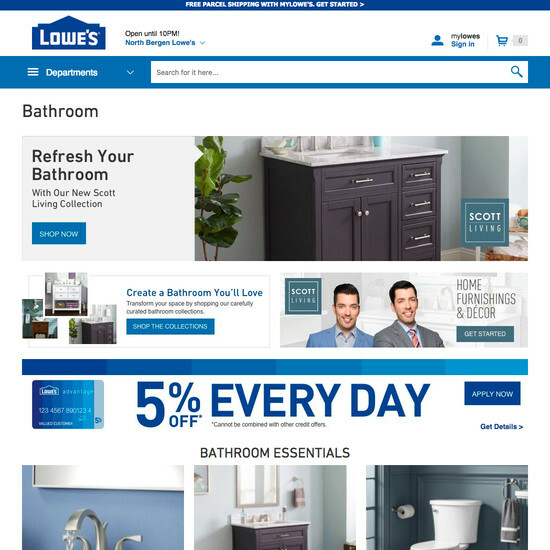 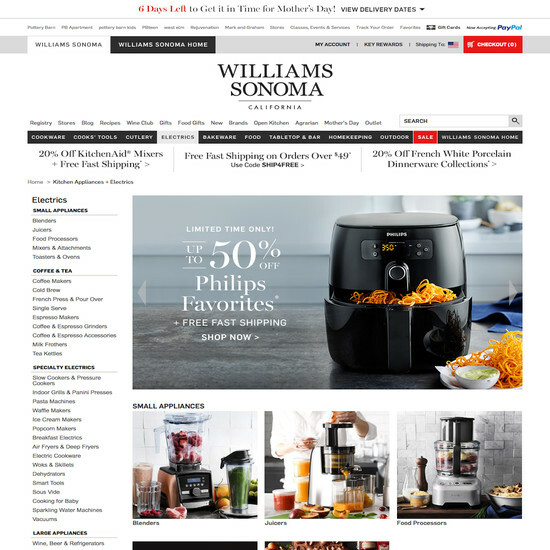 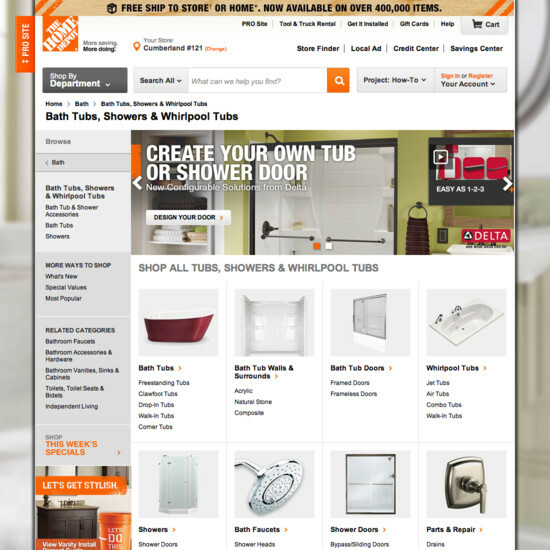 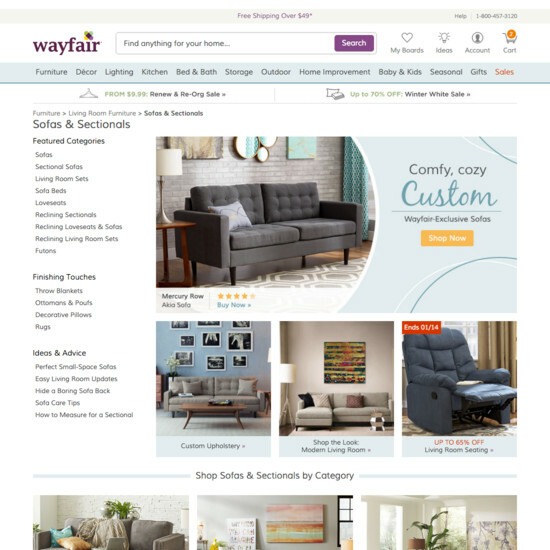 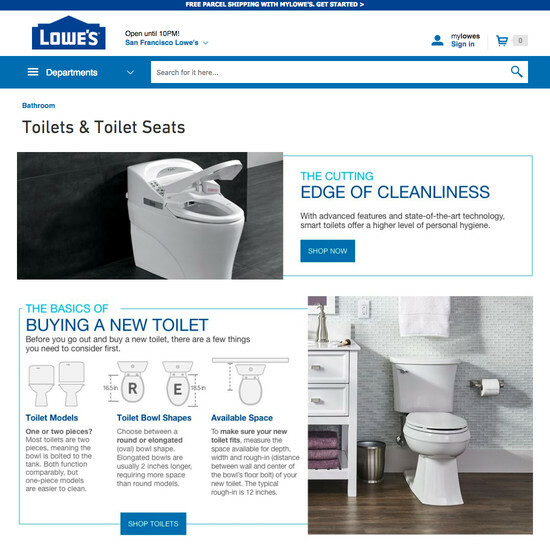 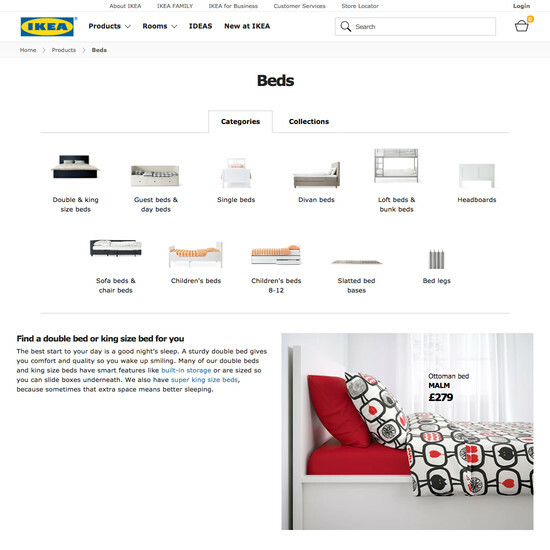 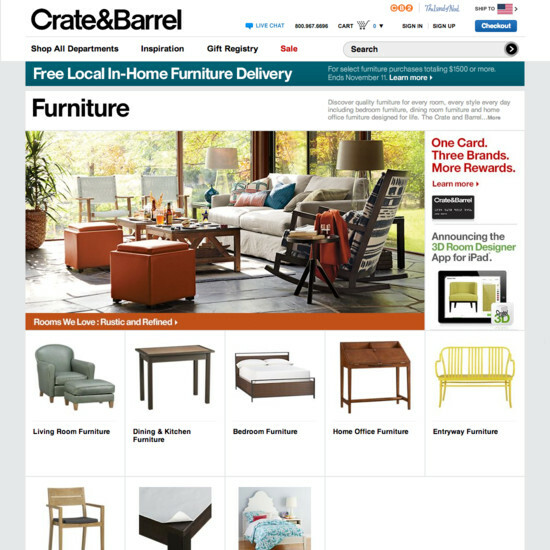 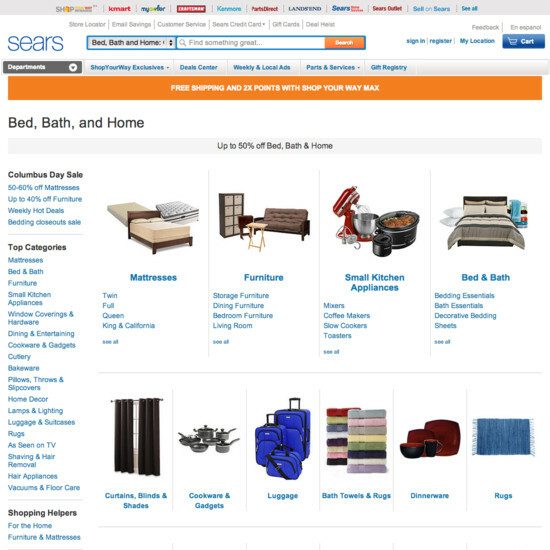 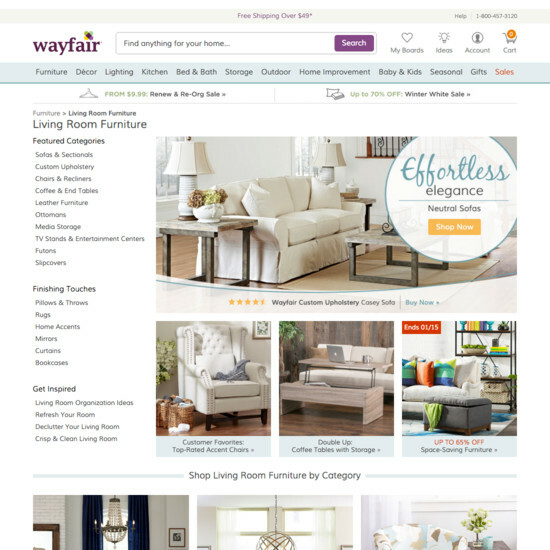 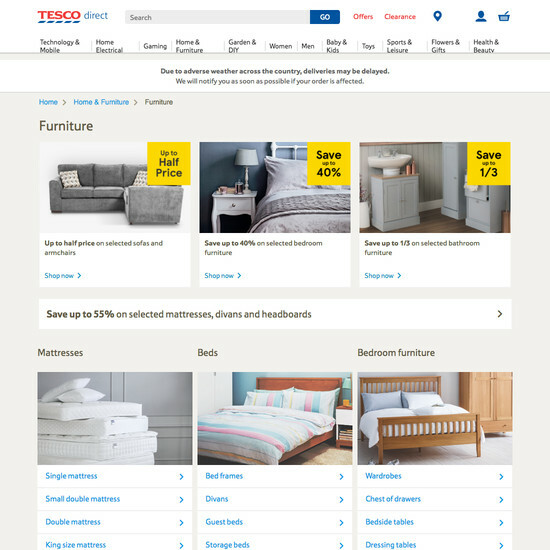 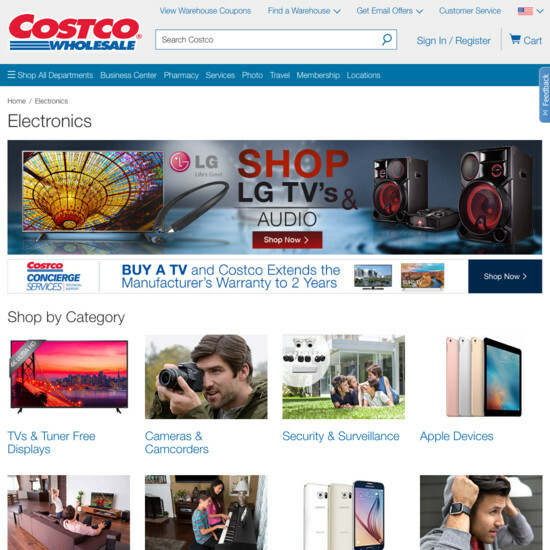 Despite consistently performing well in usability testing, 22% of e-commerce sites still don’t have any kind of category pages. 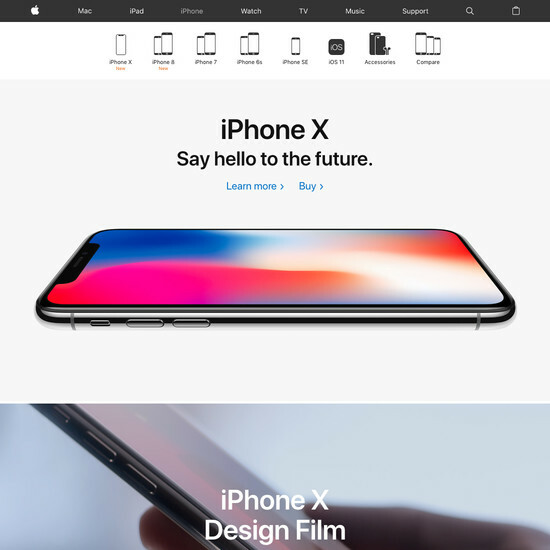 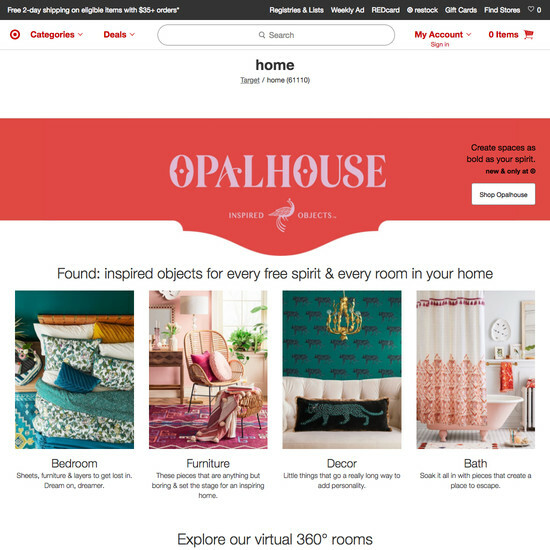 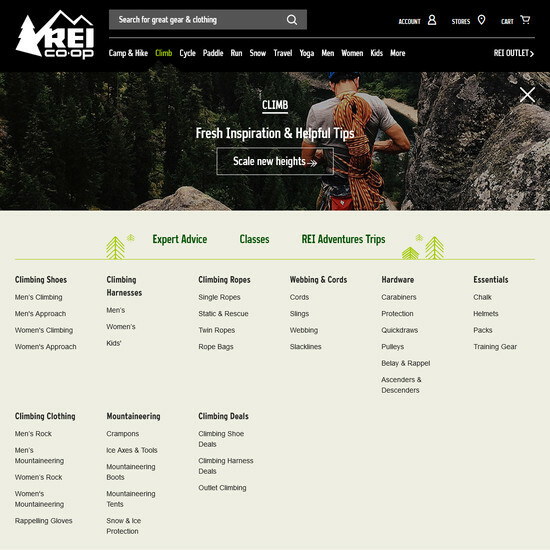 In testing we observe that when users land on an intermediary category page, they exhibit much of the same behavior as they do when landing on the homepage — they try to infer the category taxonomy, the breadth of the particular category, and which path will suit them best. 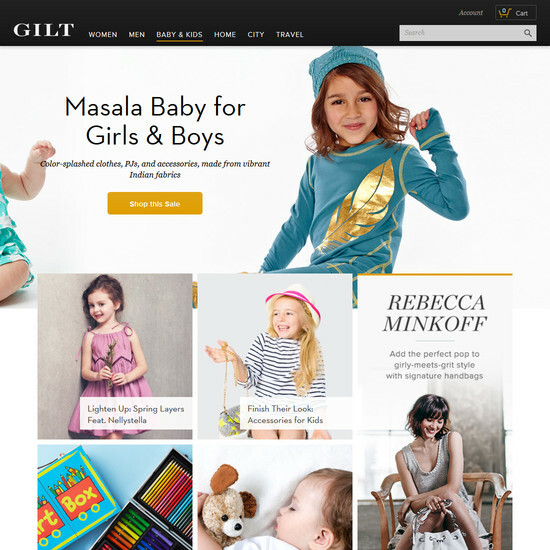 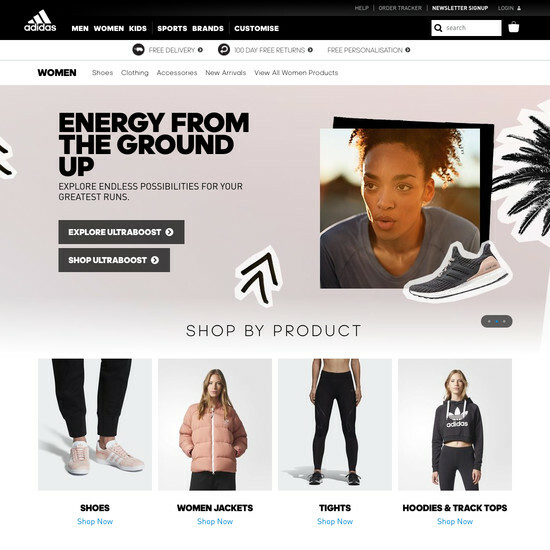 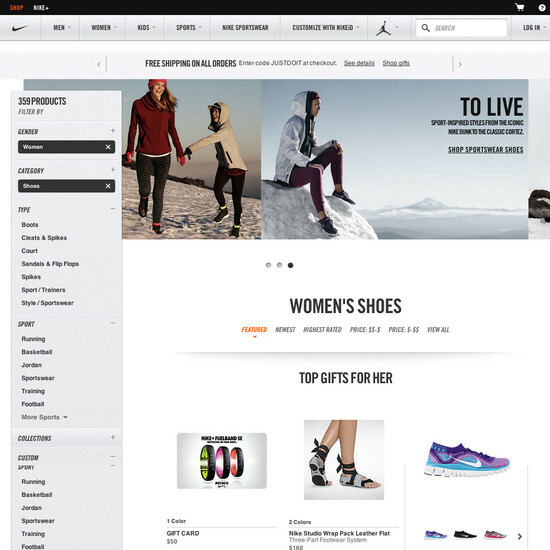 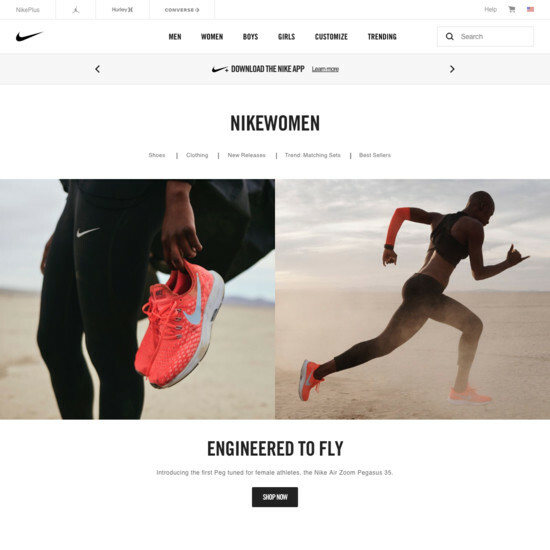 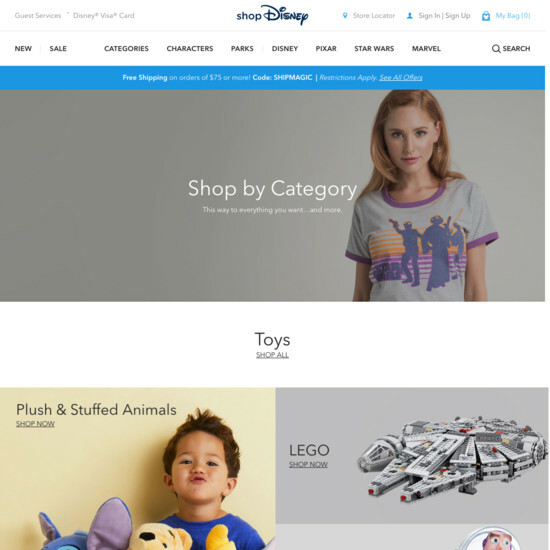 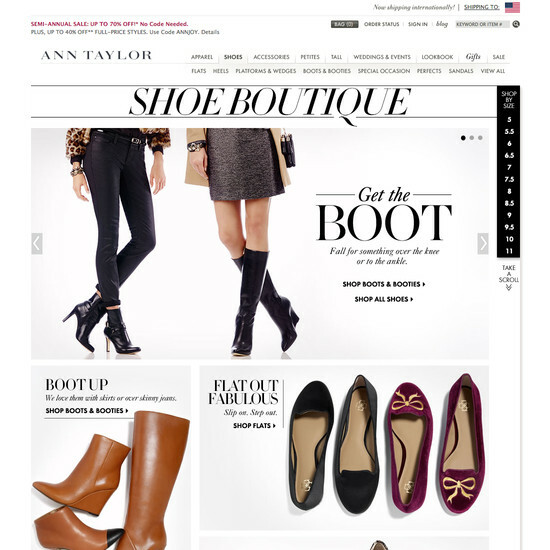 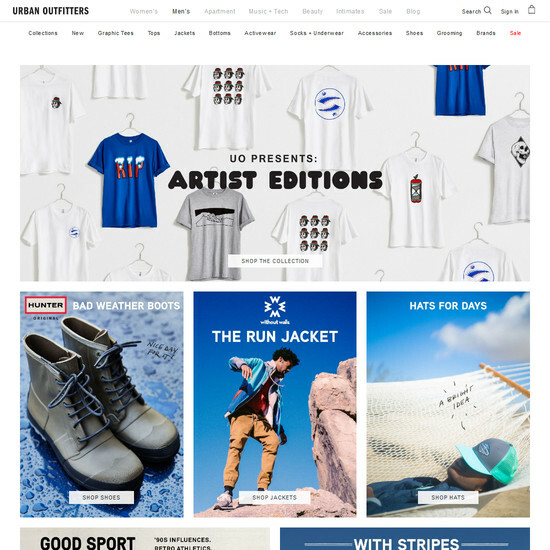 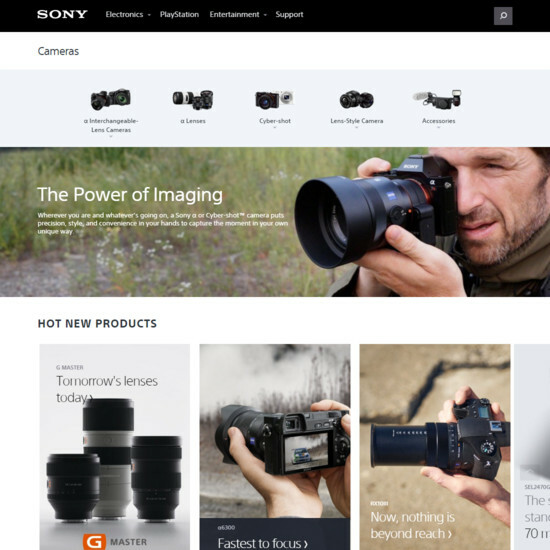 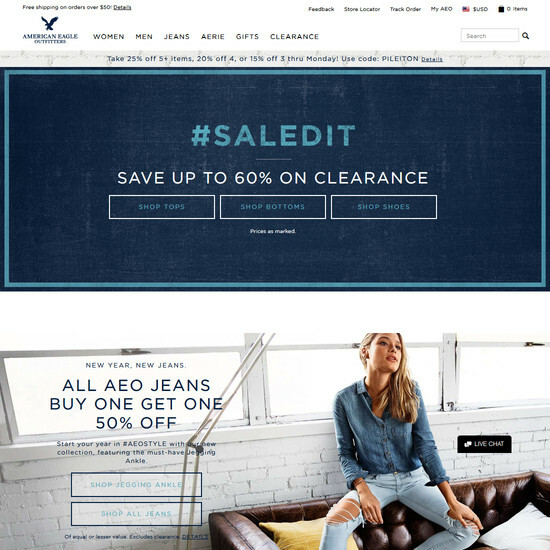 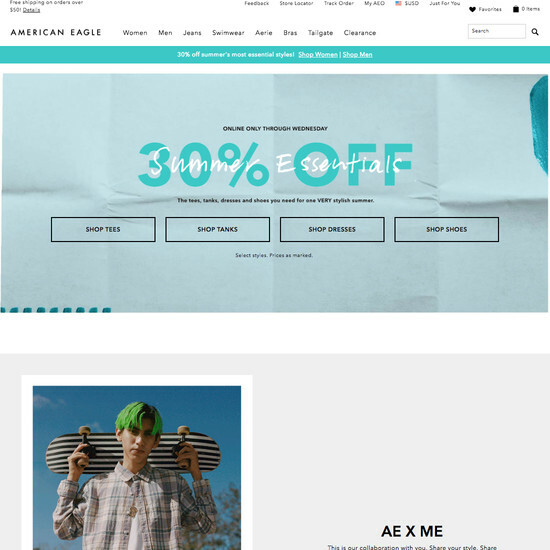 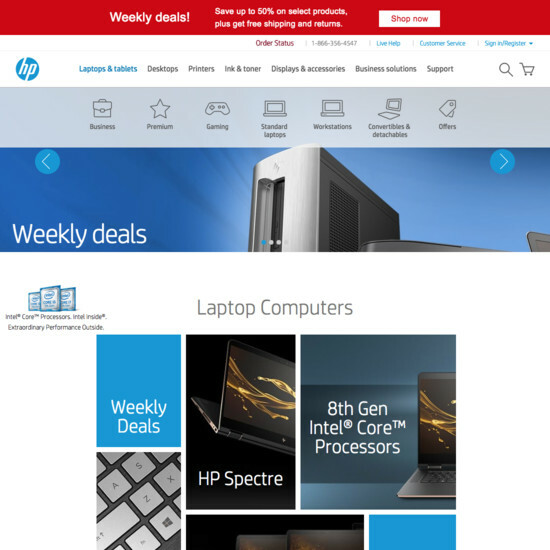 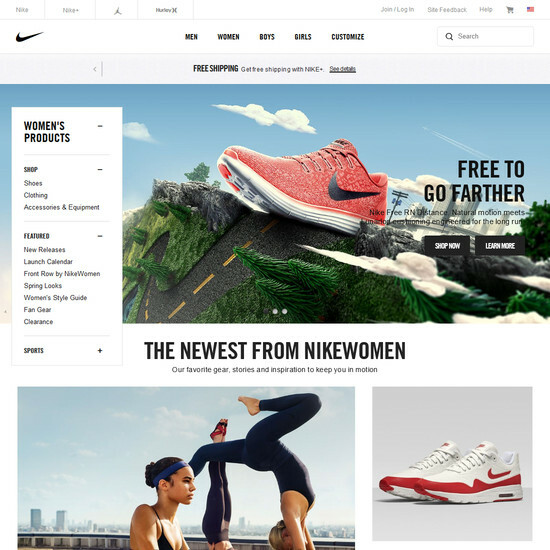 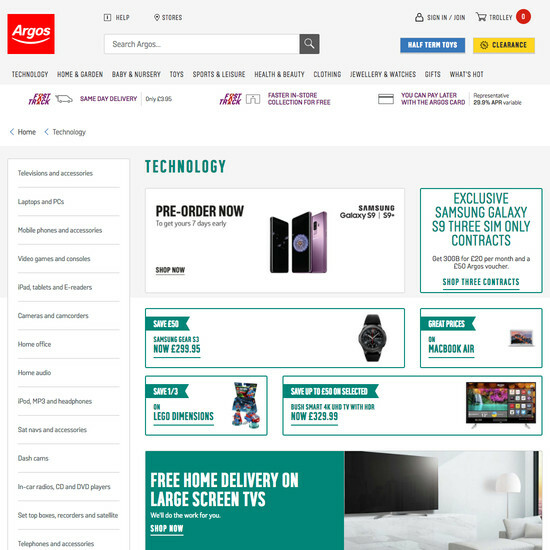 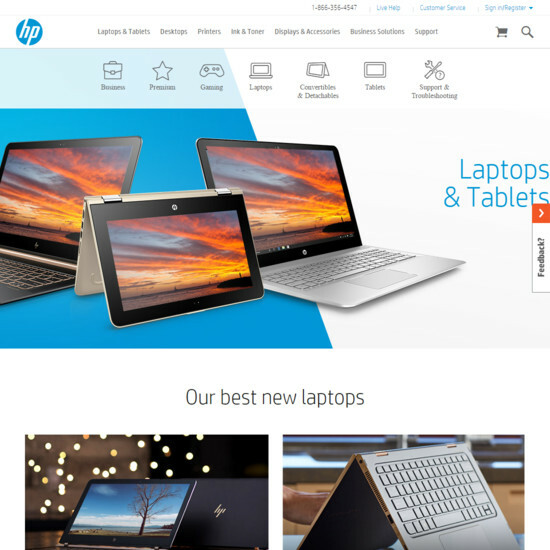 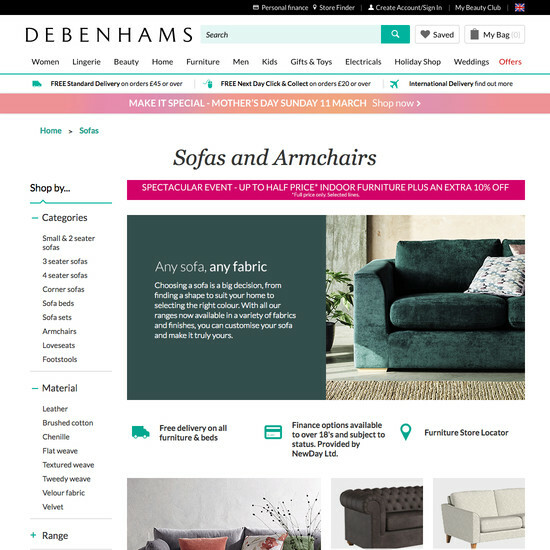 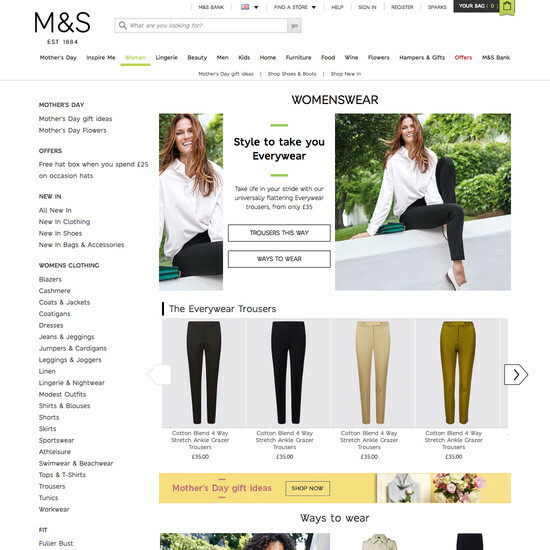 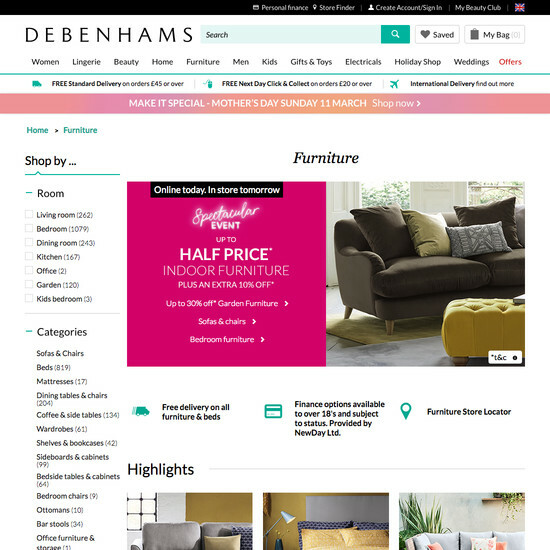 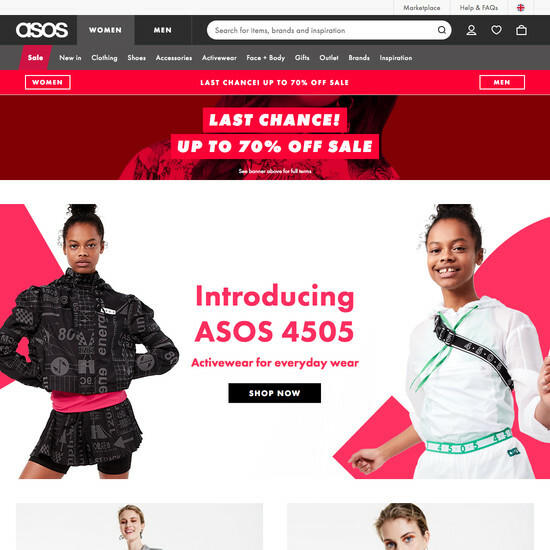 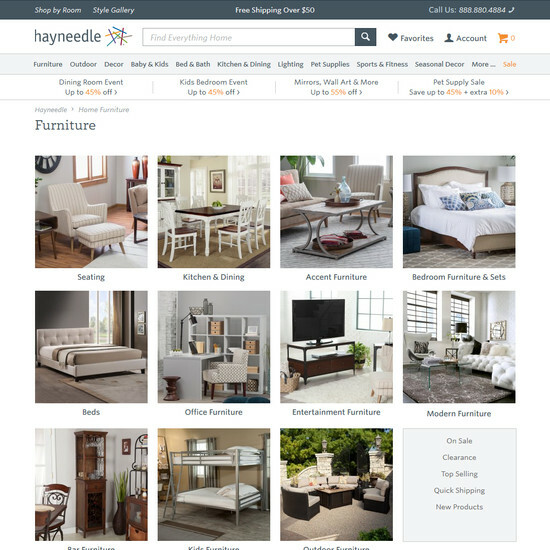 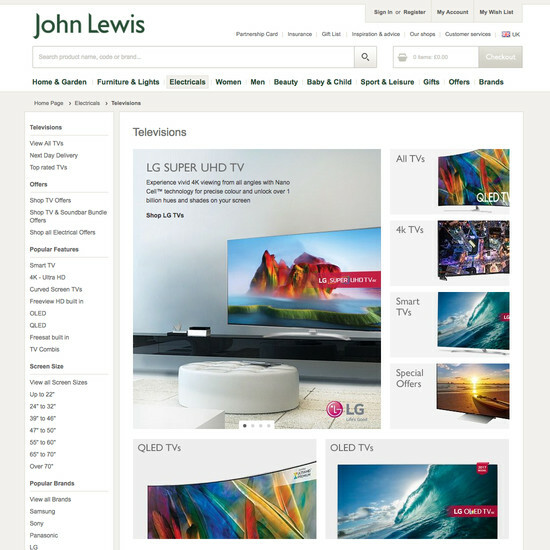 Therefore the intermediary category page often faces the same challenges as the homepage, such as instantly conveying the category contents and making the primary paths (the subcategories) stand out among any featured promotions and products. 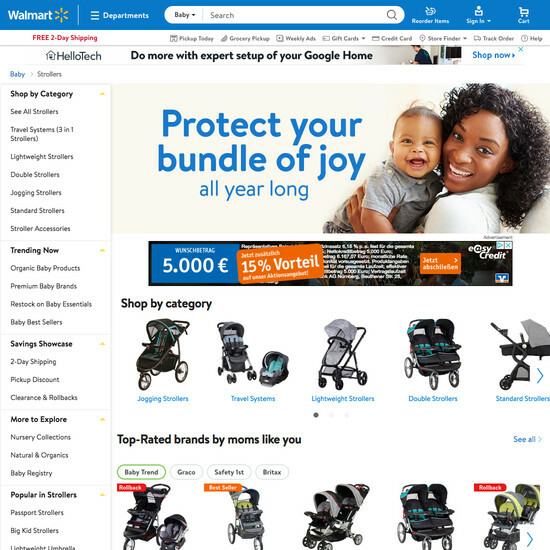 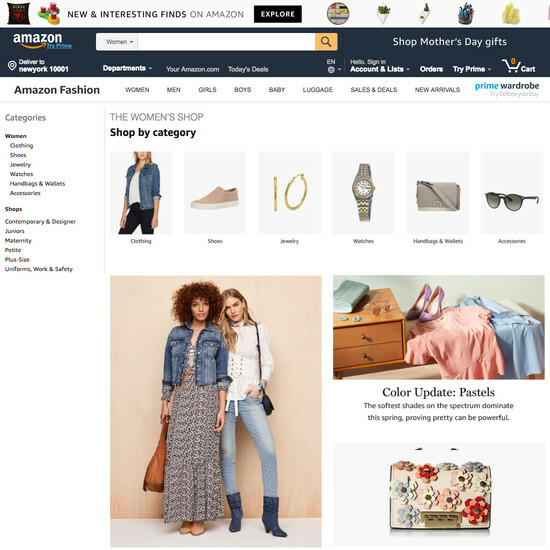 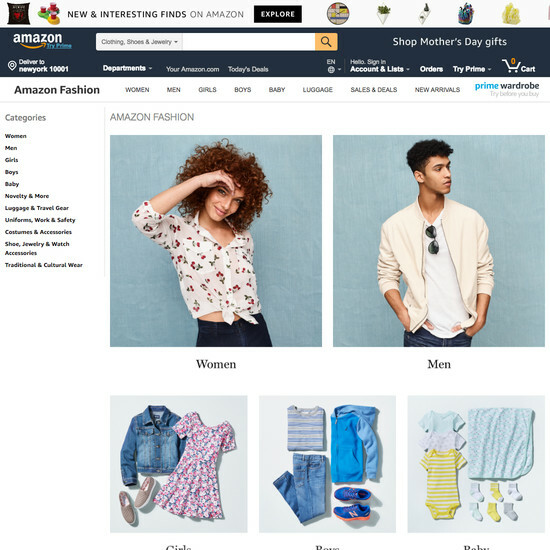 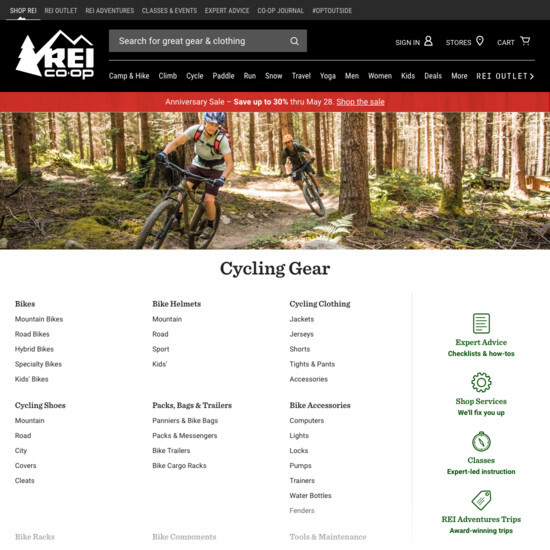 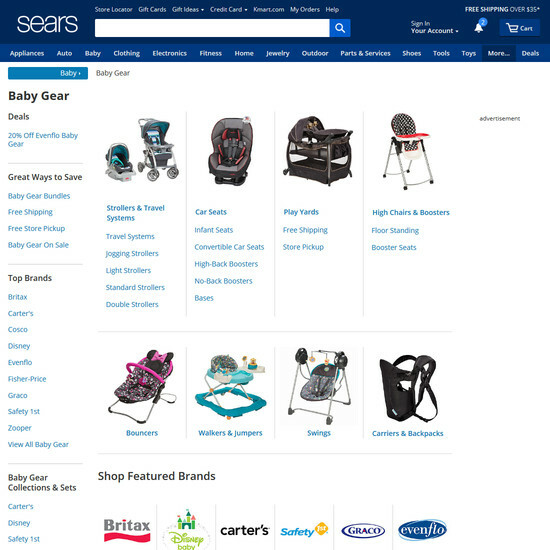 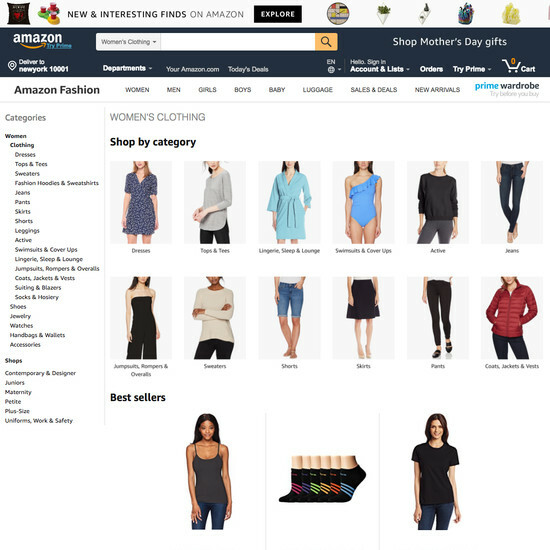 Showing the entire list of products for a top-level category often won’t make sense, as the list will simply be too long or generic (e.g., “Women’s clothing”). 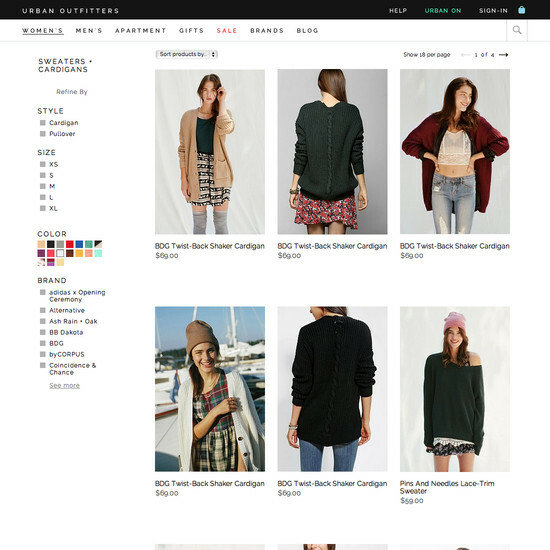 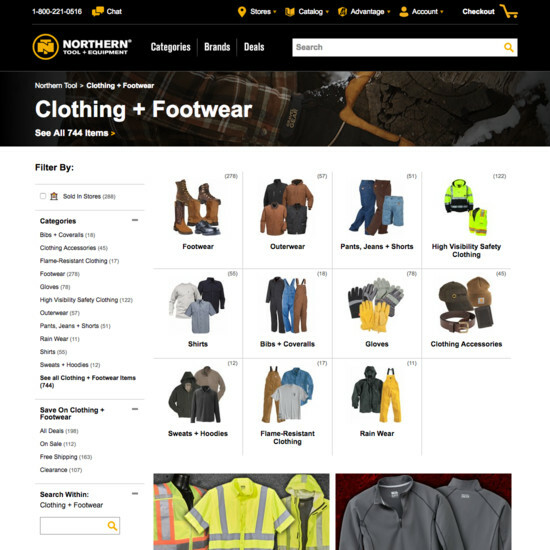 Instead, the scope must be further defined before a meaningful and manageable list of products can be shown (e.g., “Women’s Jackets”). 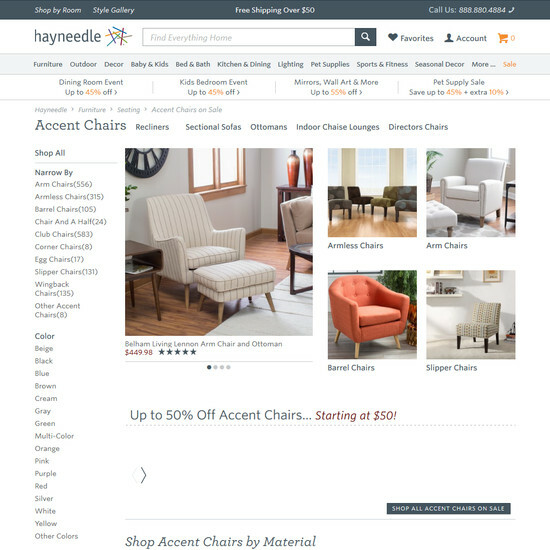 Intermediary category pages solve this exact problem and should be utilized in the 1–2 top levels of the hierarchy. 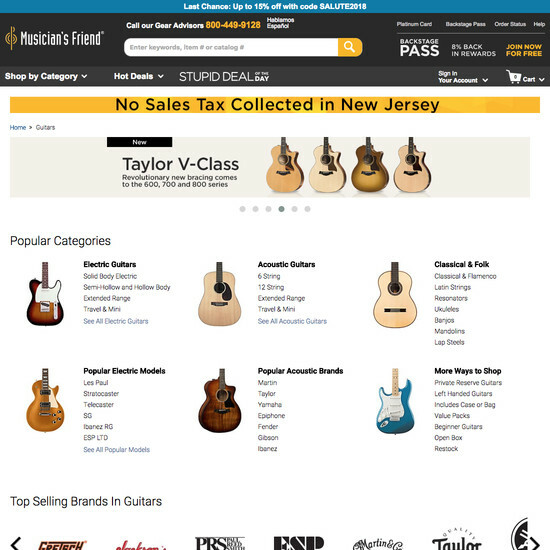 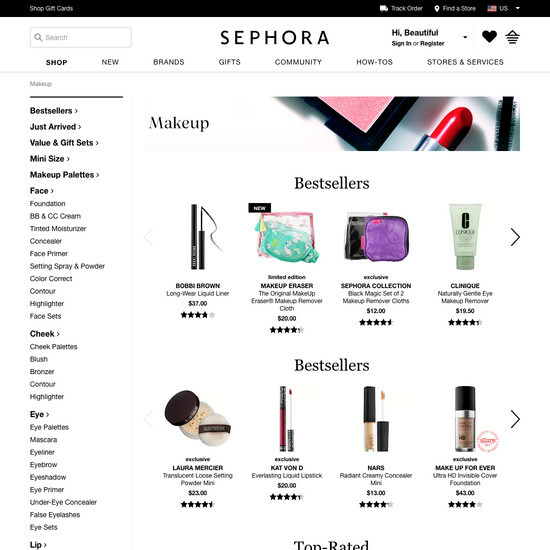 It’s almost like a storefront for a particular product category, guiding the user to select subcategories, filters, or even specific promoted products. 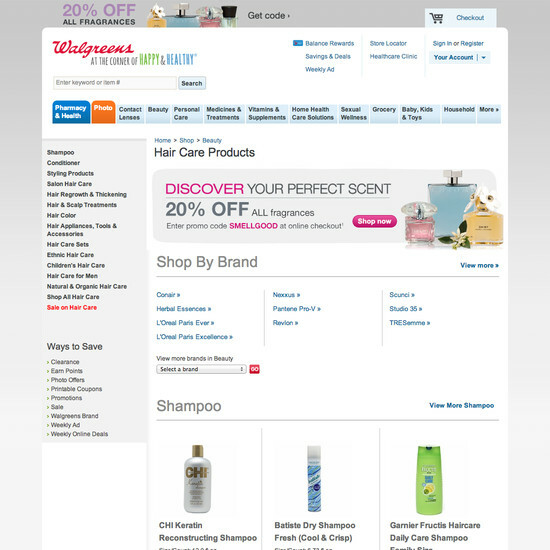 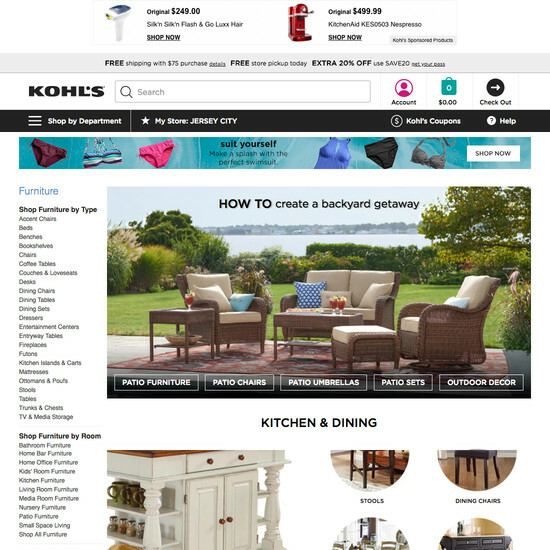 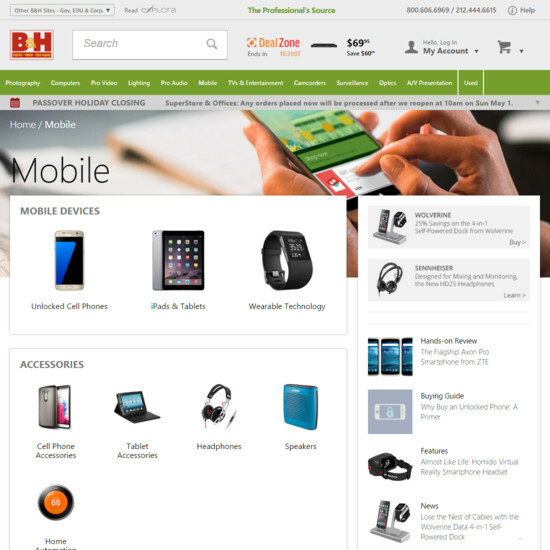 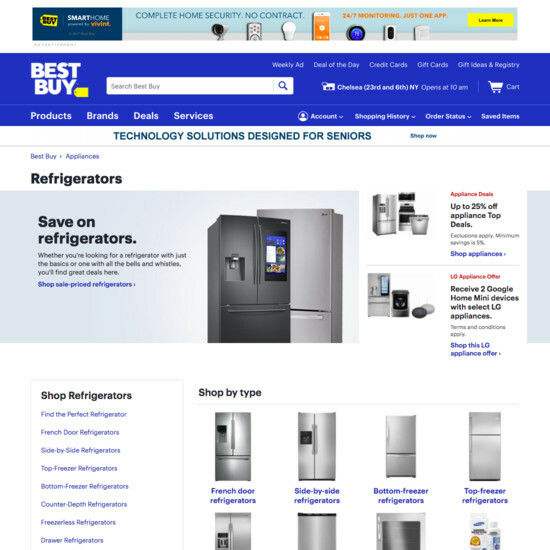 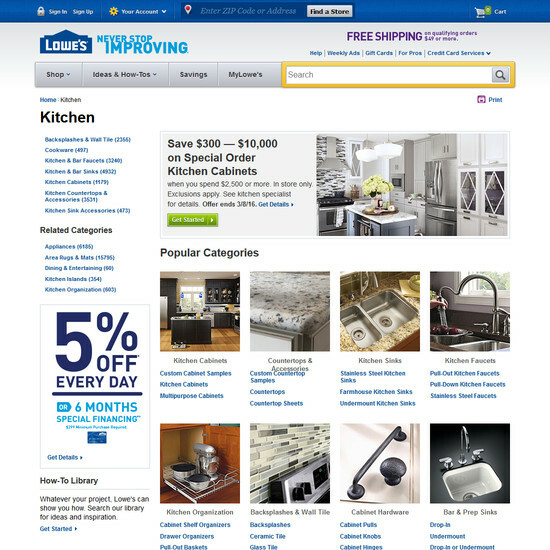 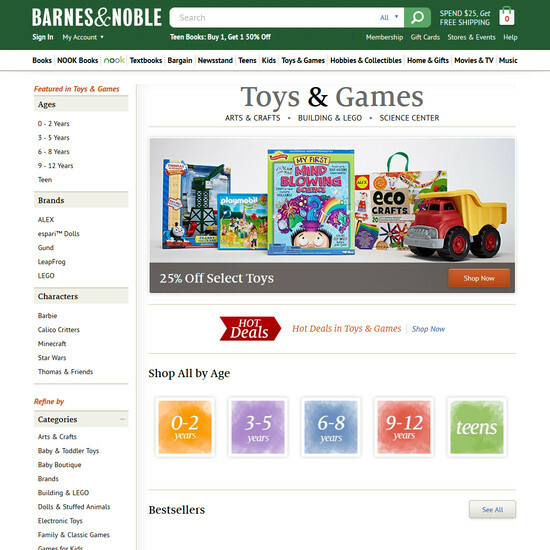 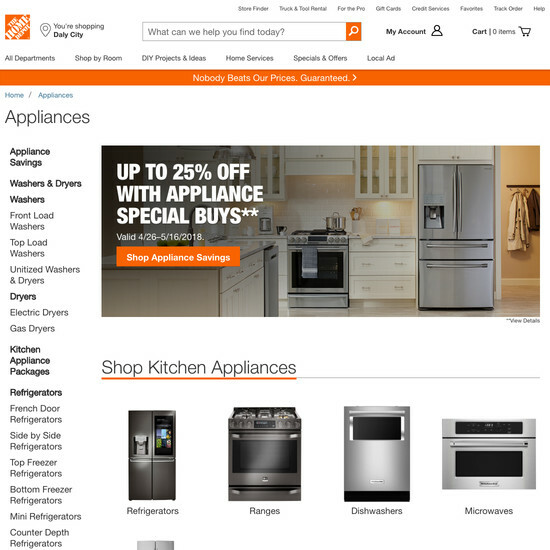 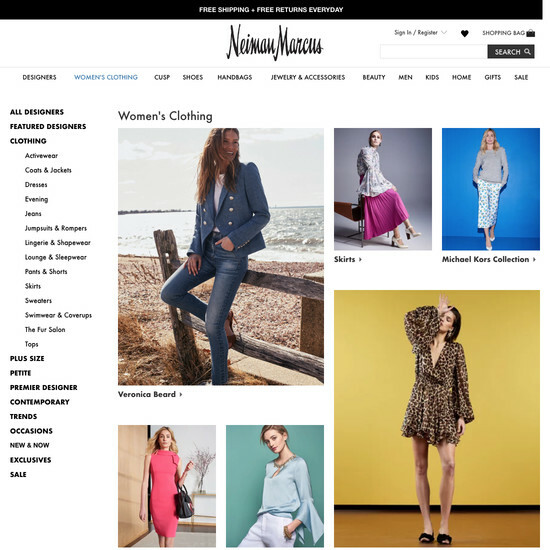 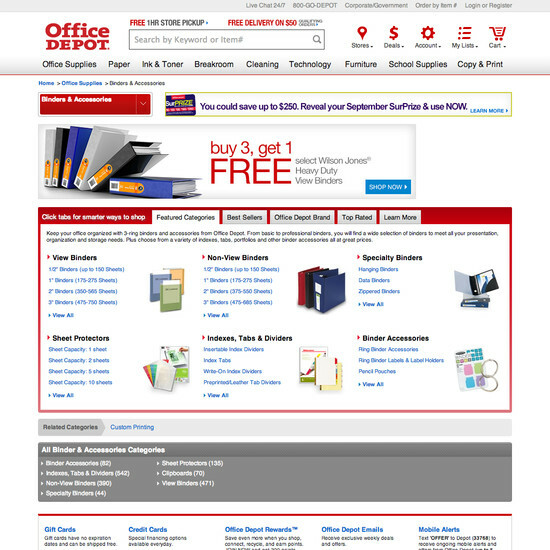 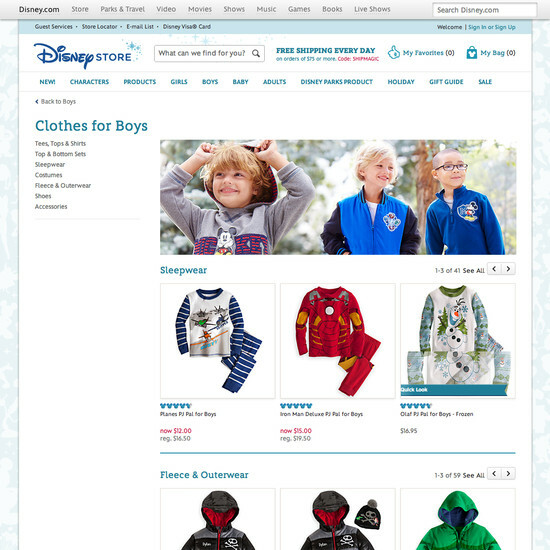 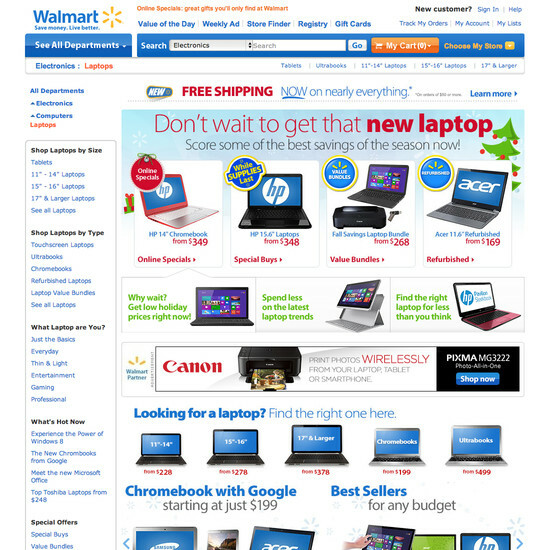 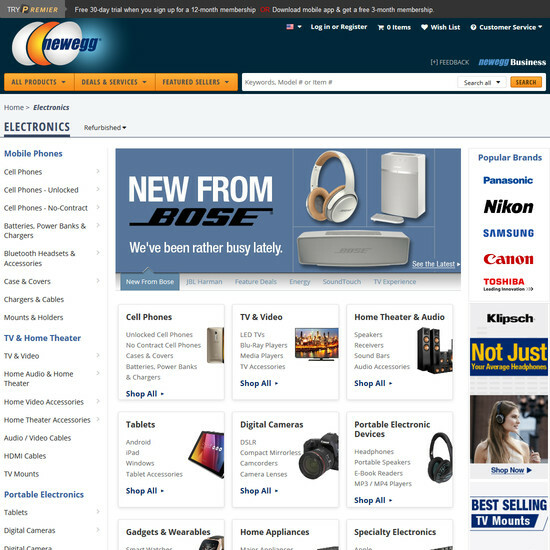 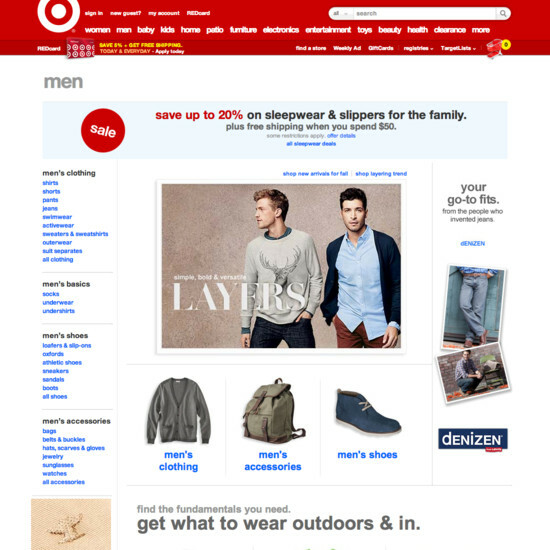 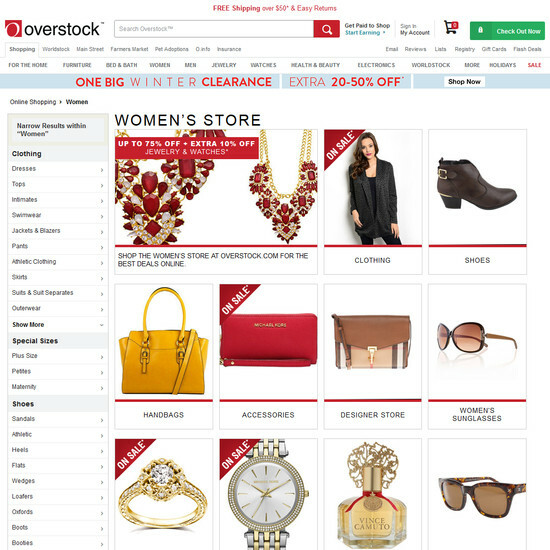 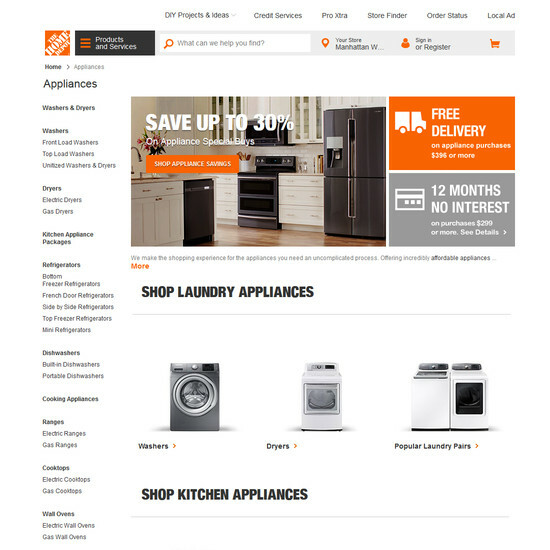 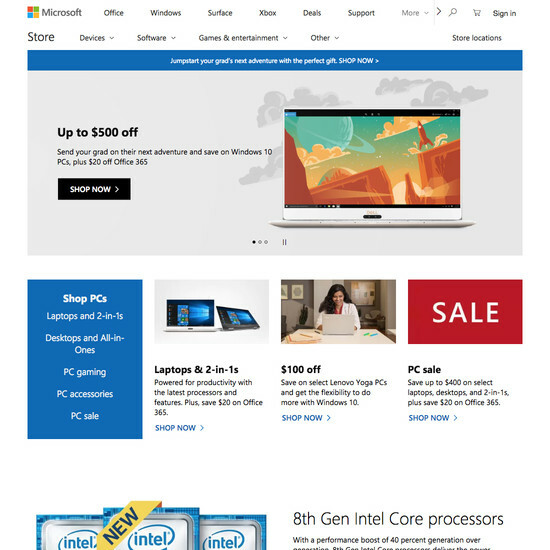 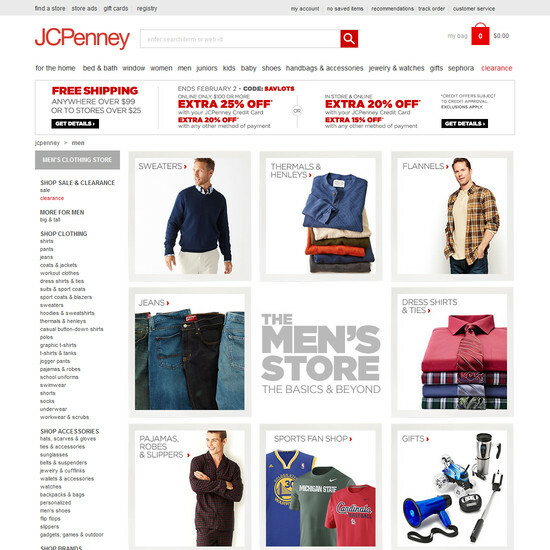 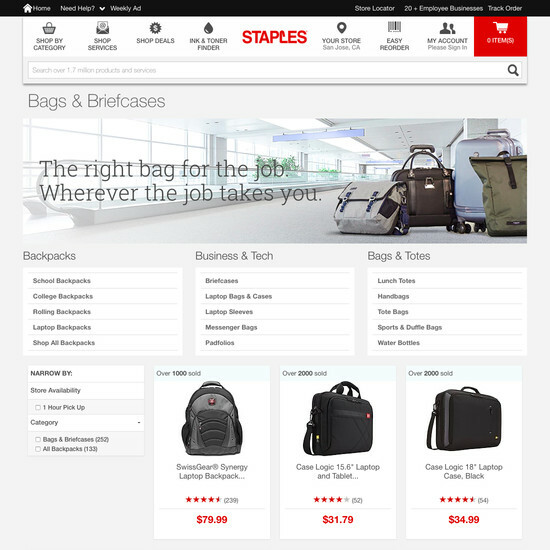 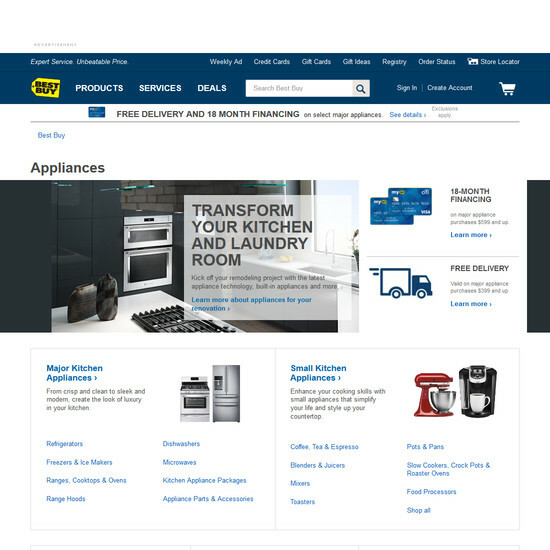 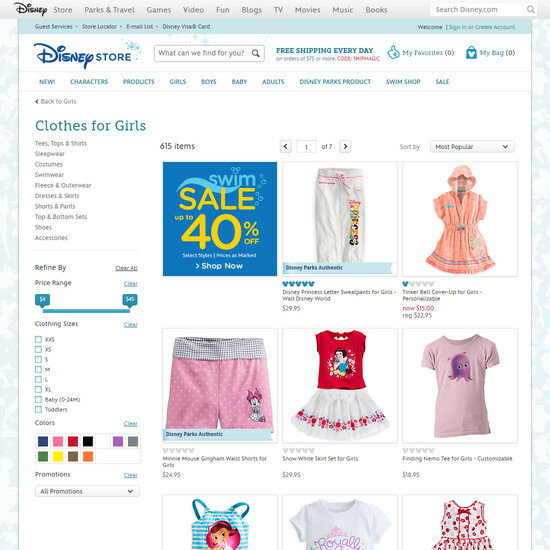 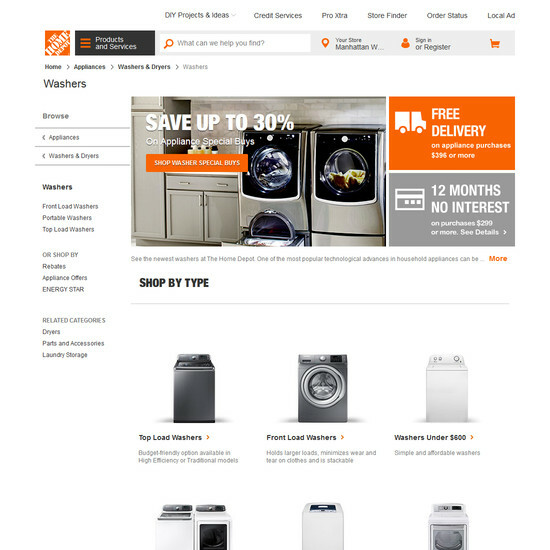 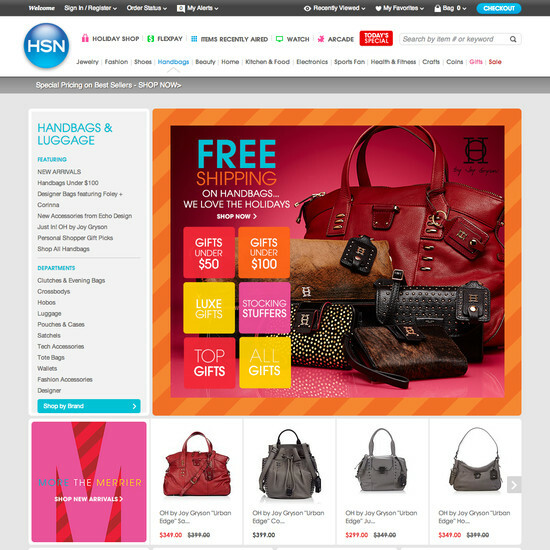 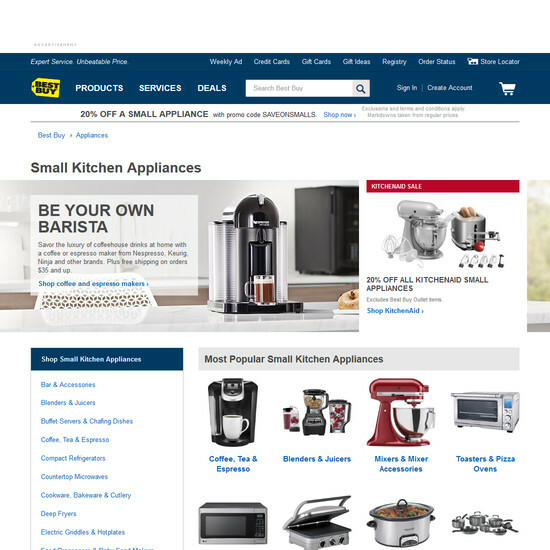 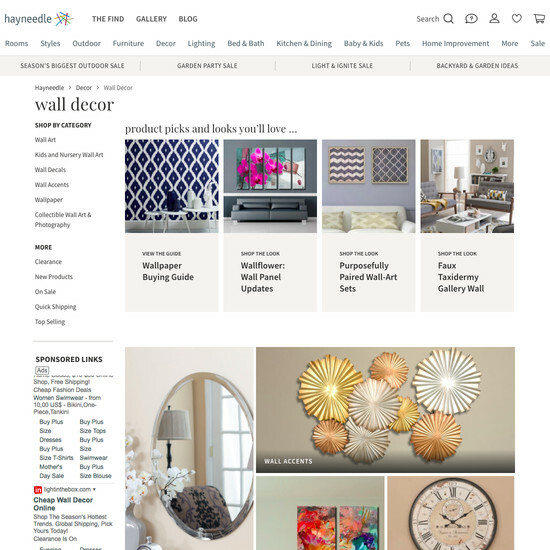 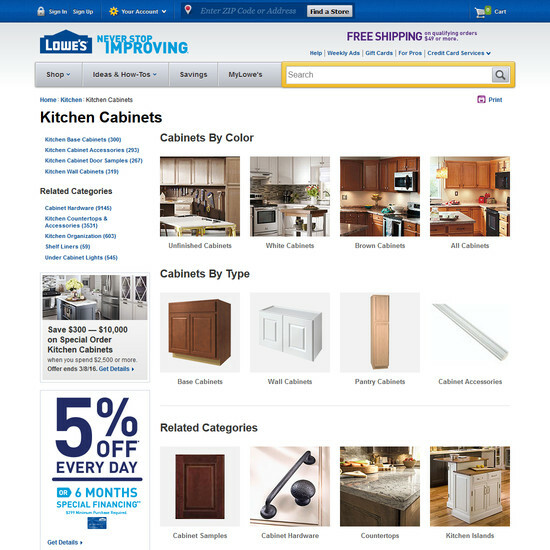 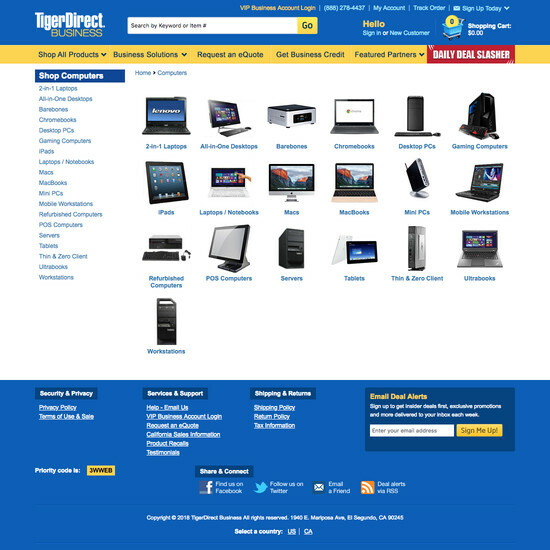 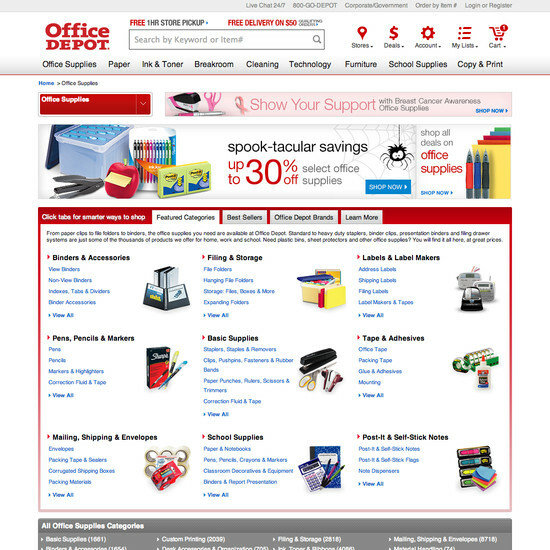 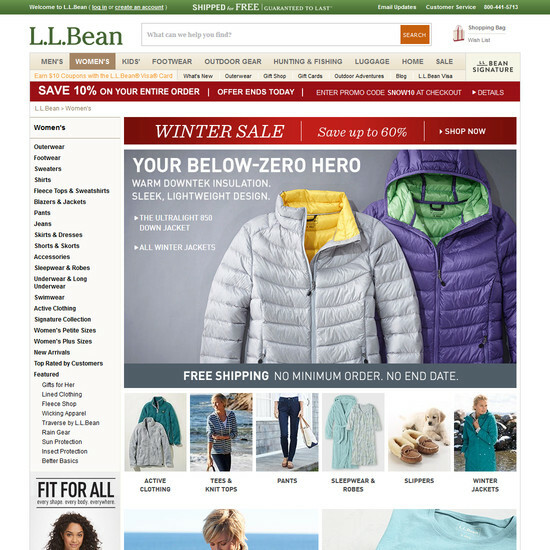 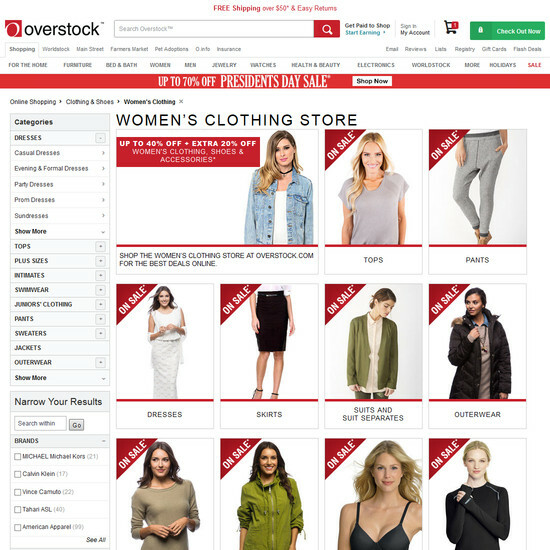 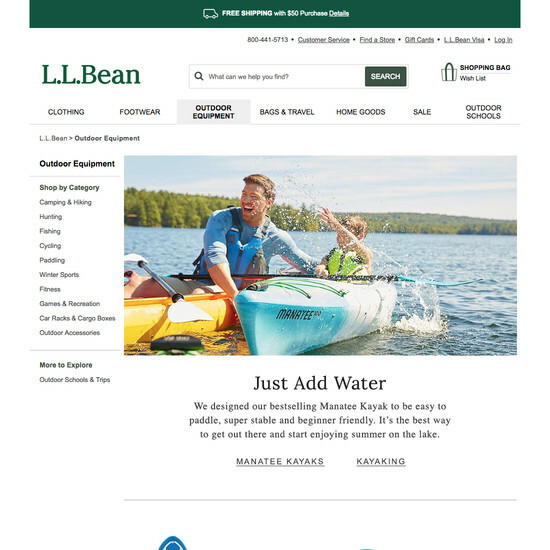 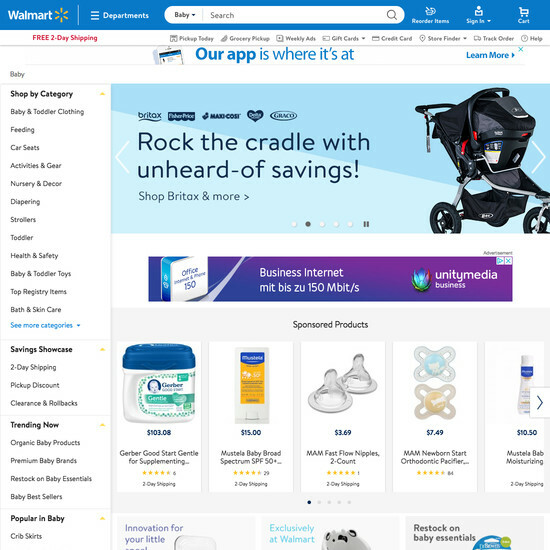 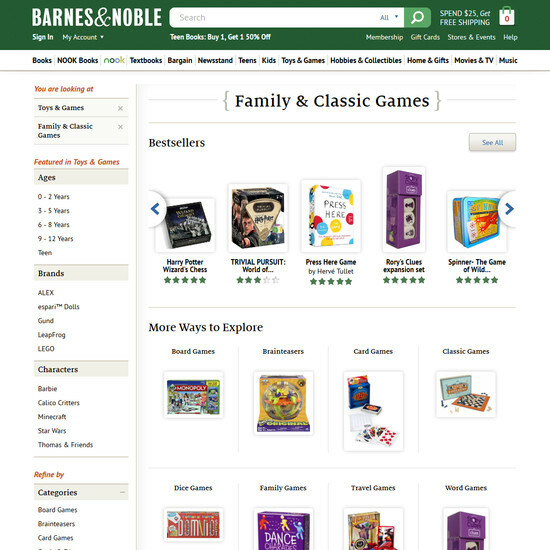 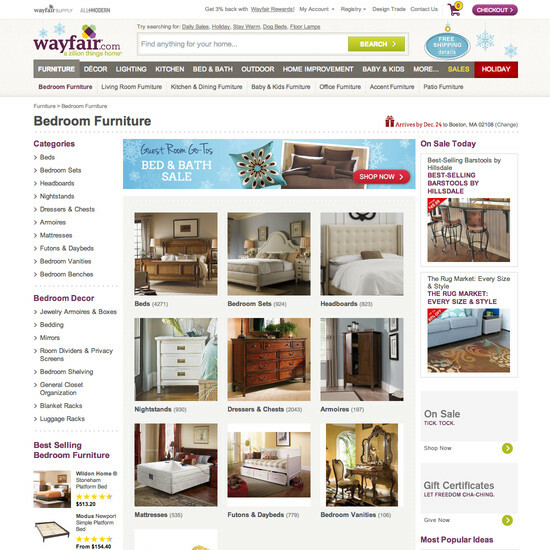 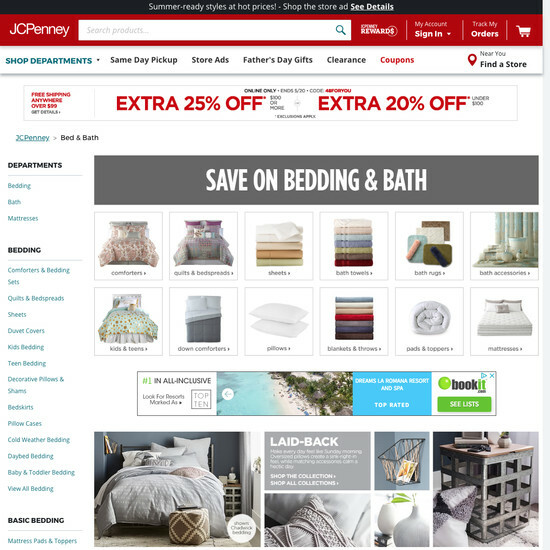 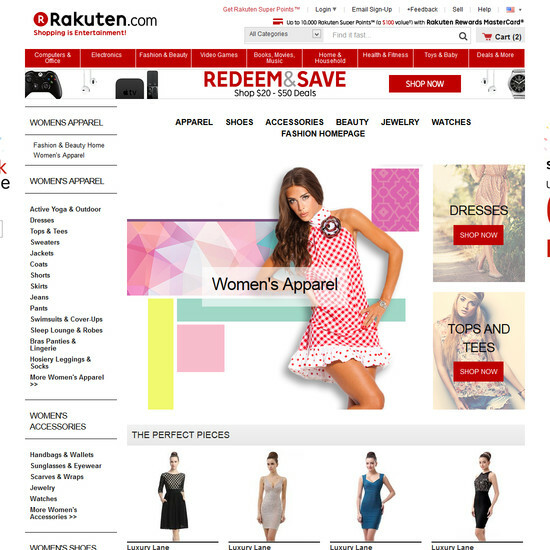 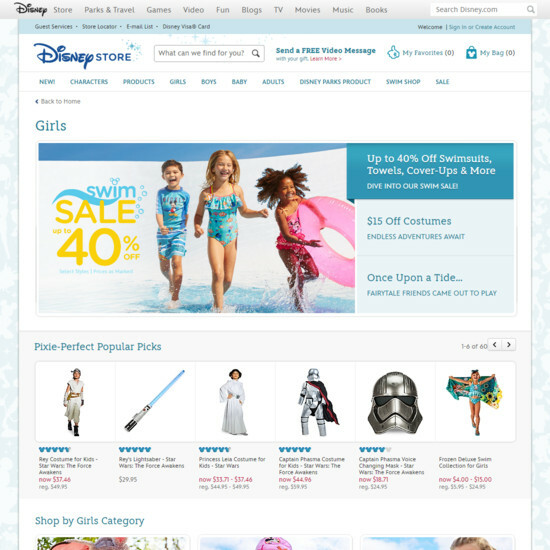 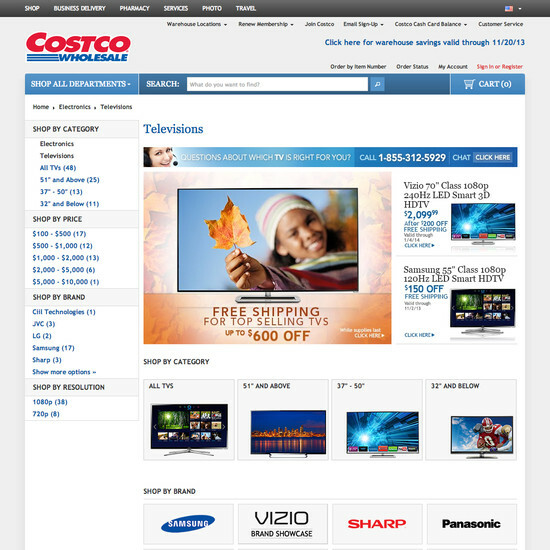 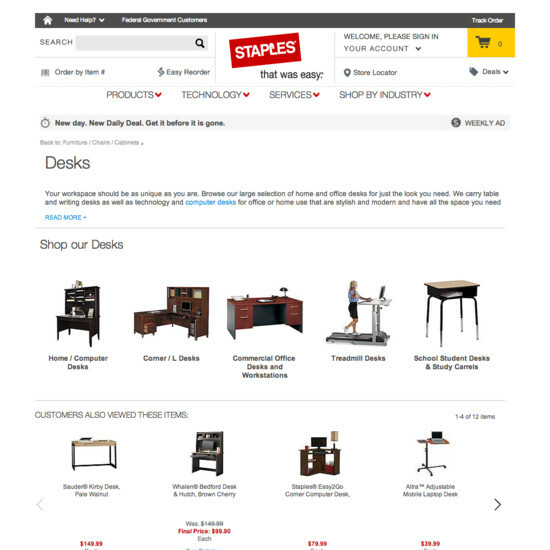 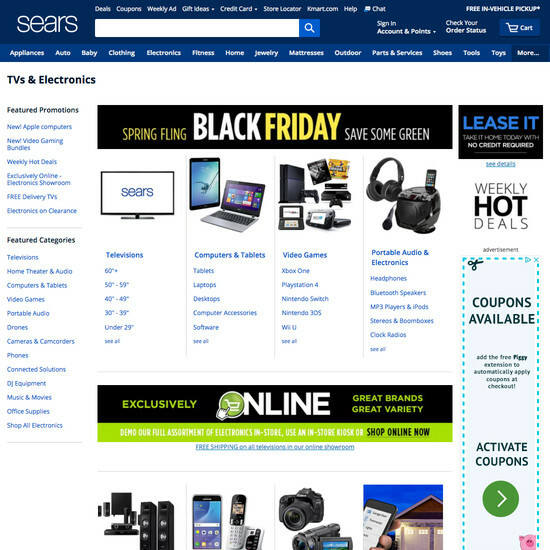 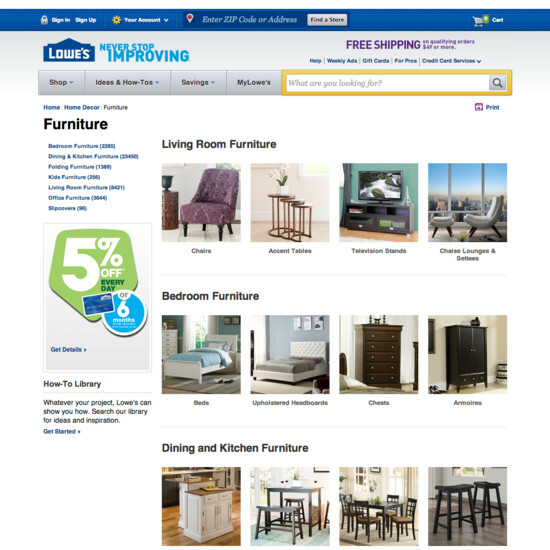 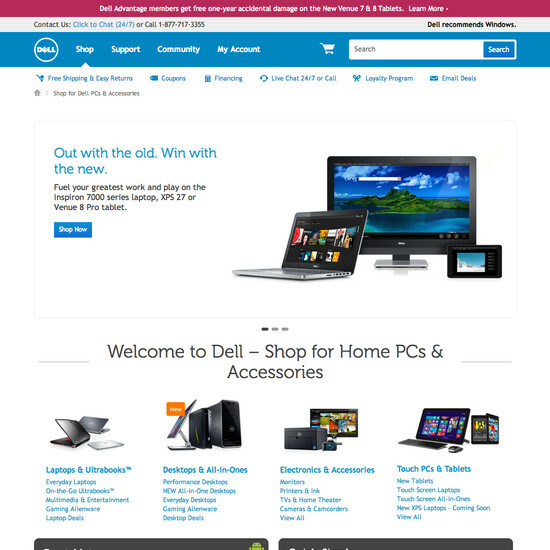 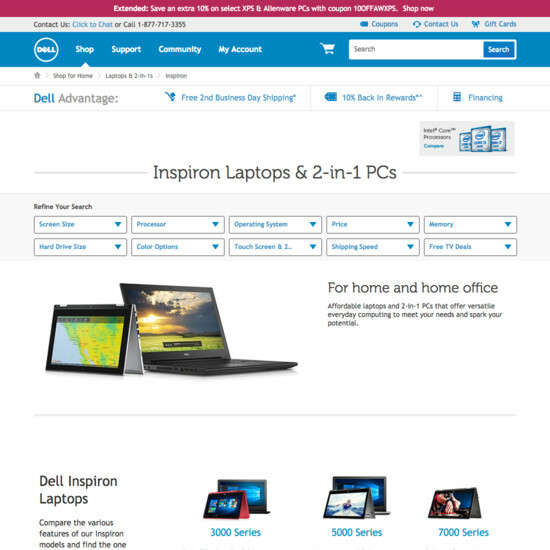 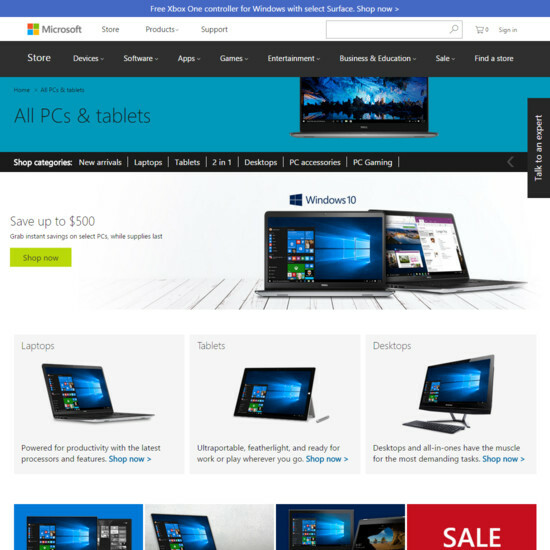 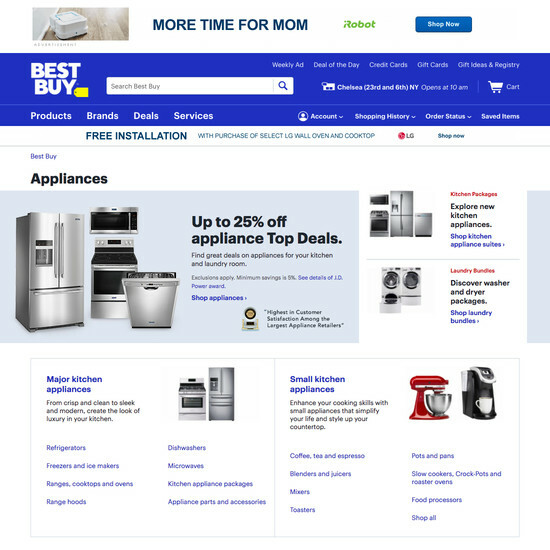 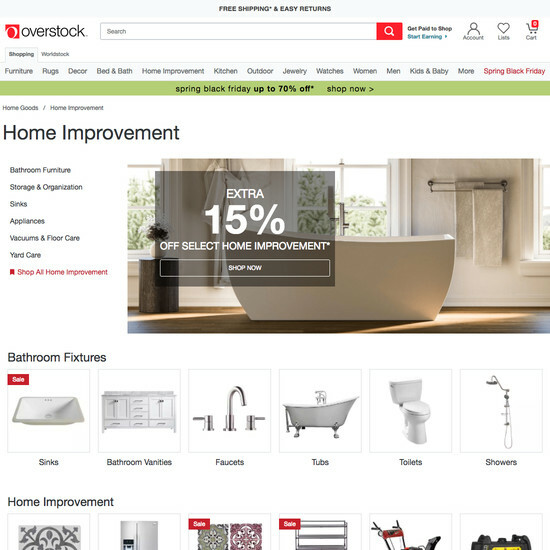 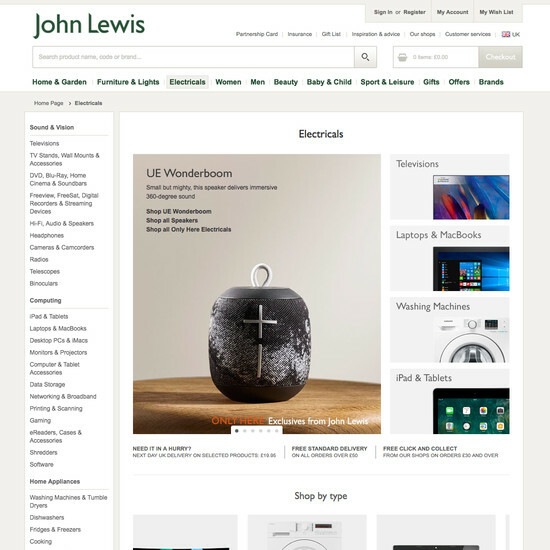 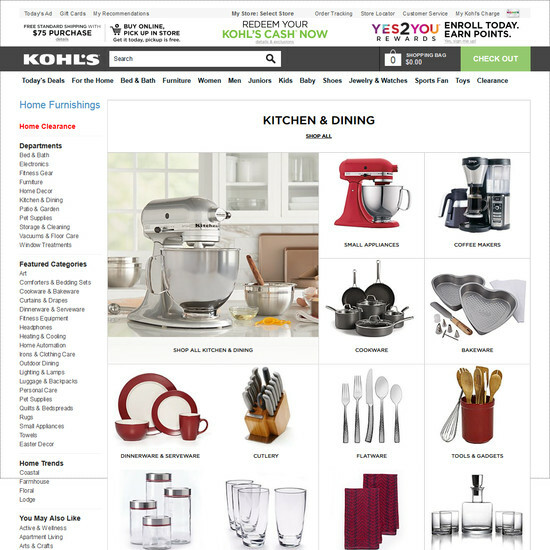 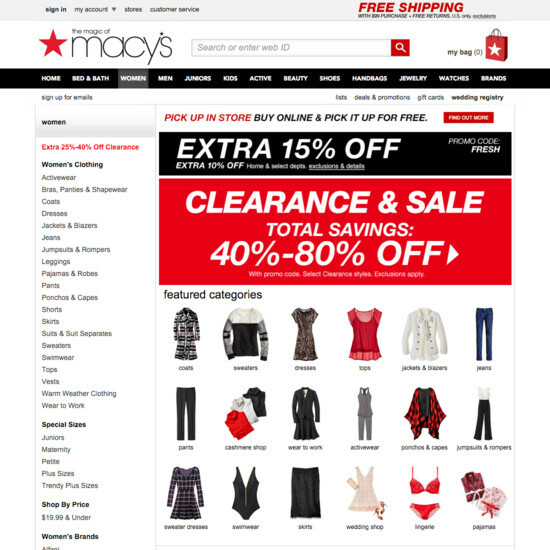 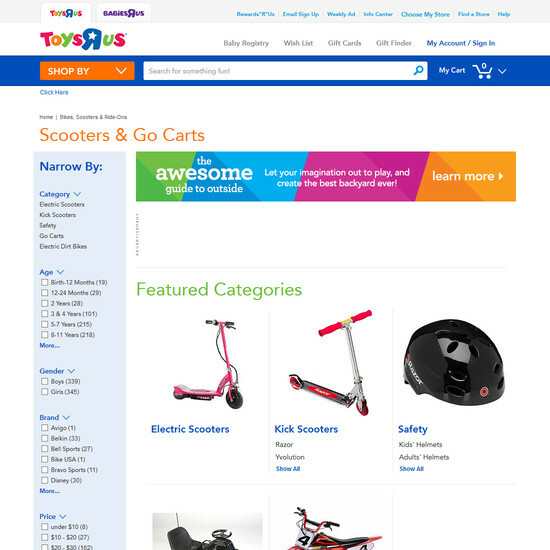 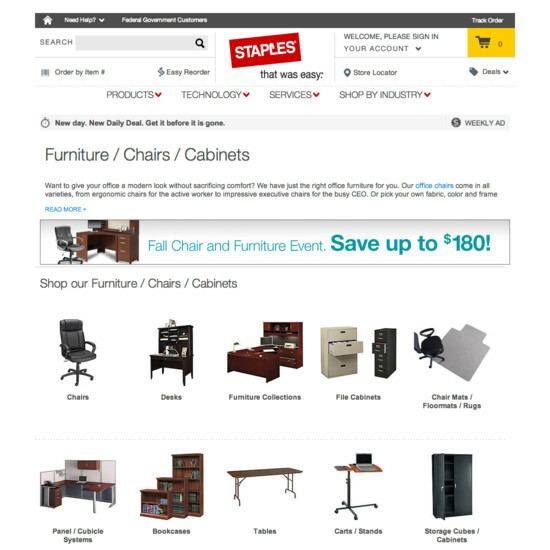 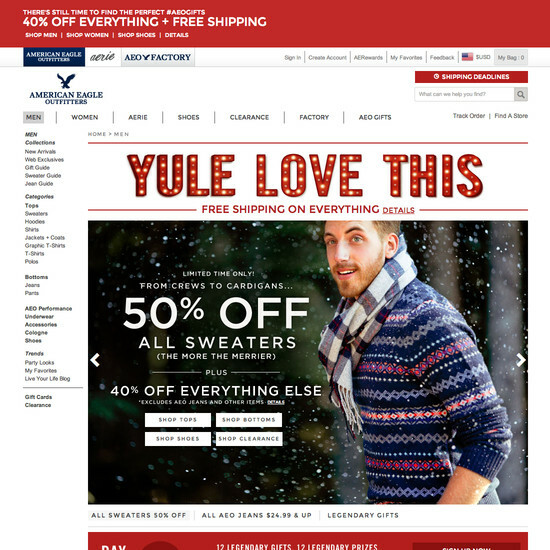 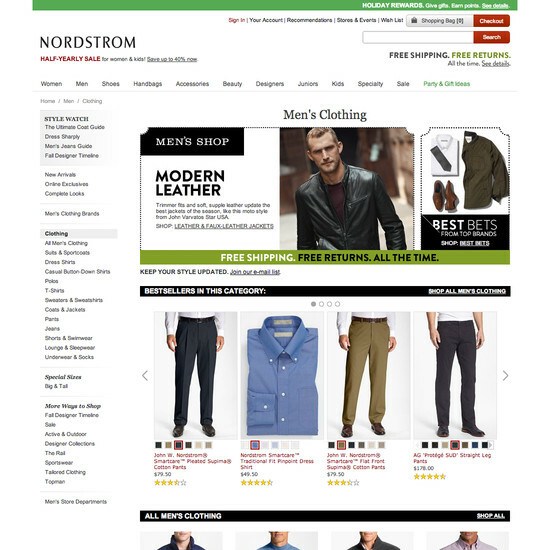 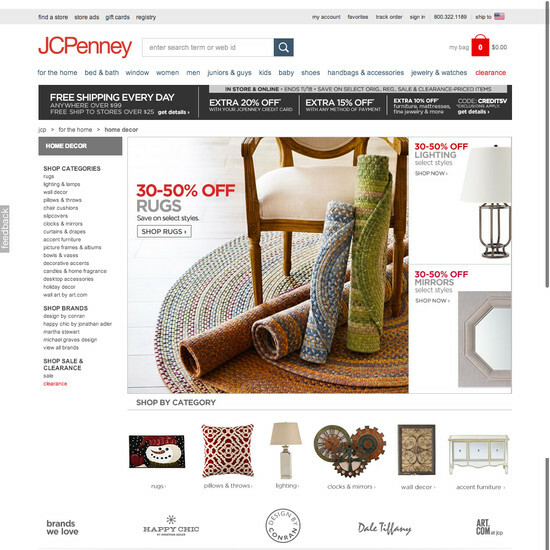 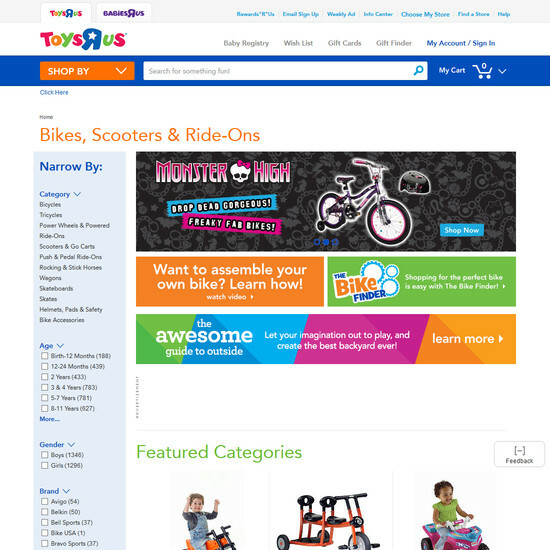 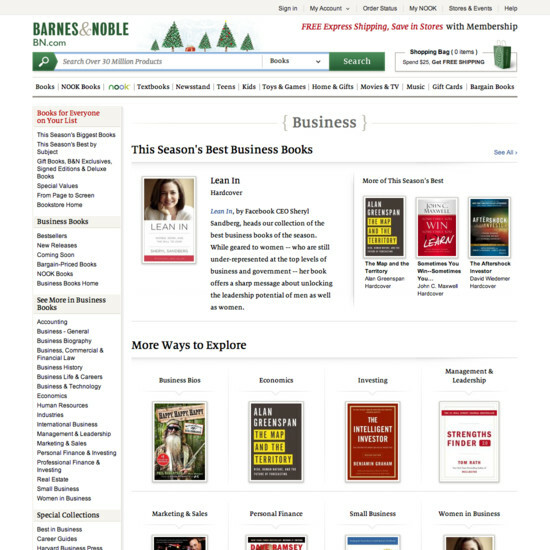 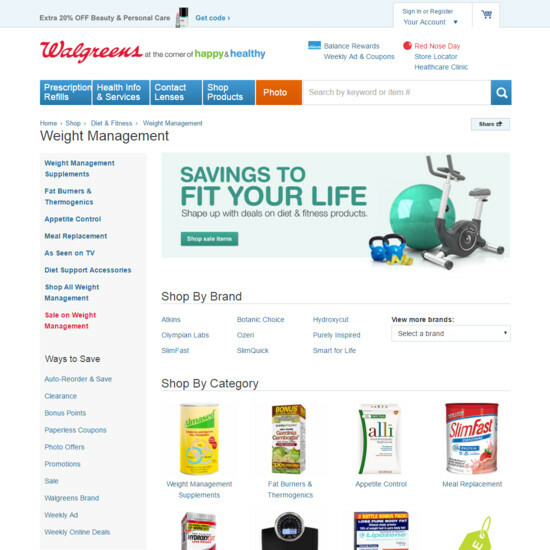 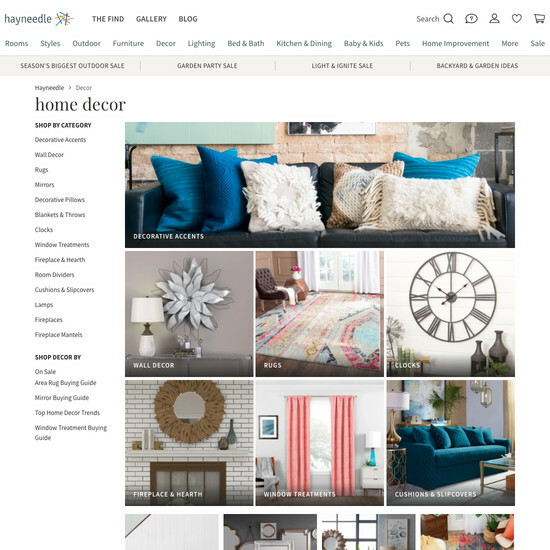 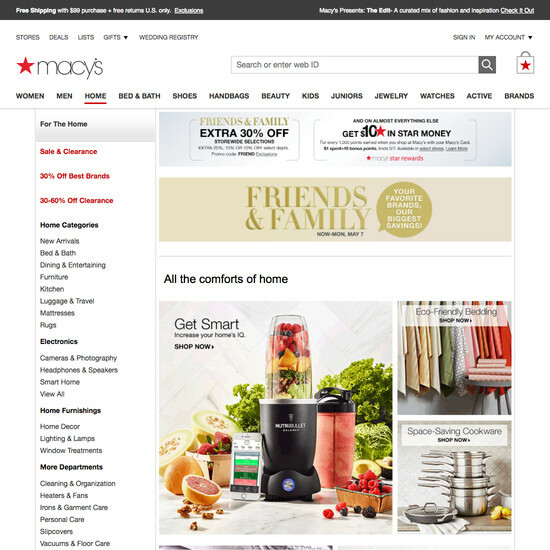 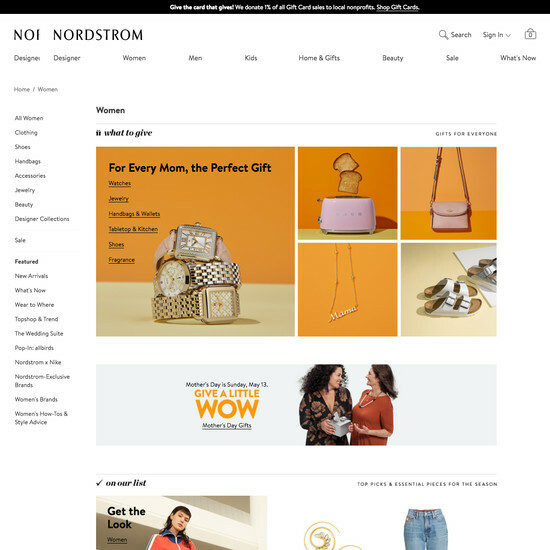 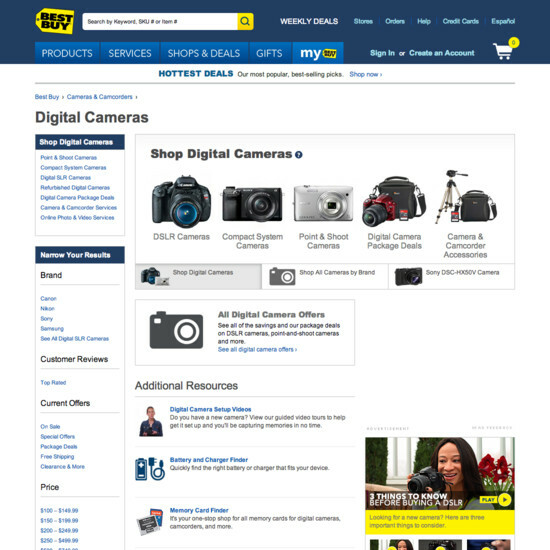 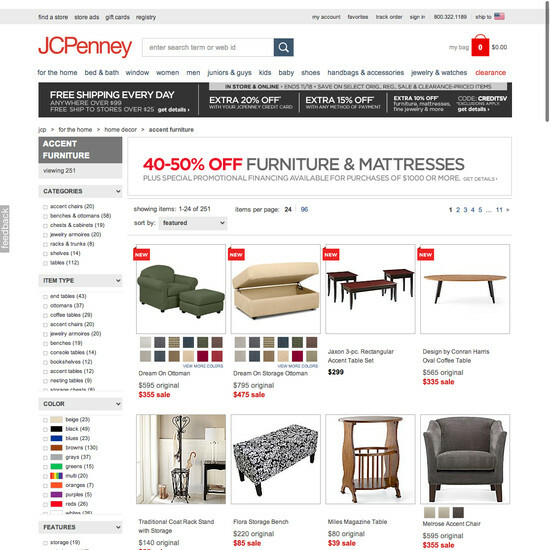 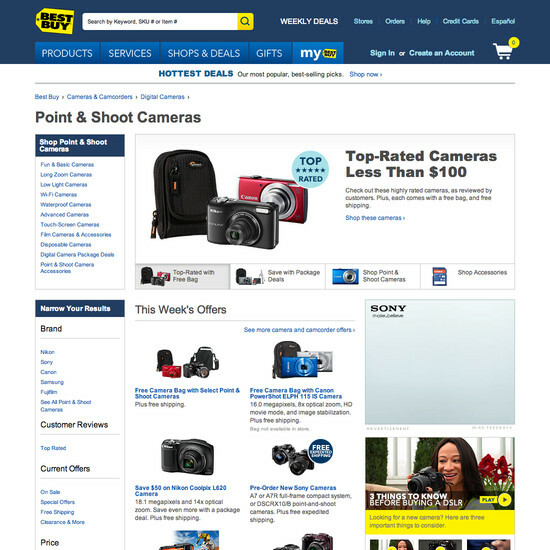 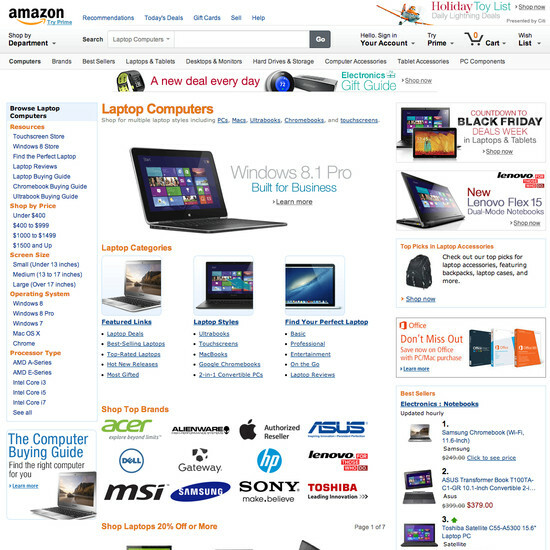 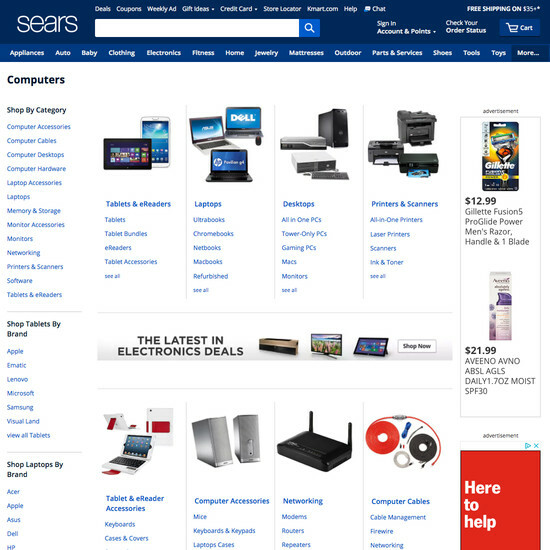 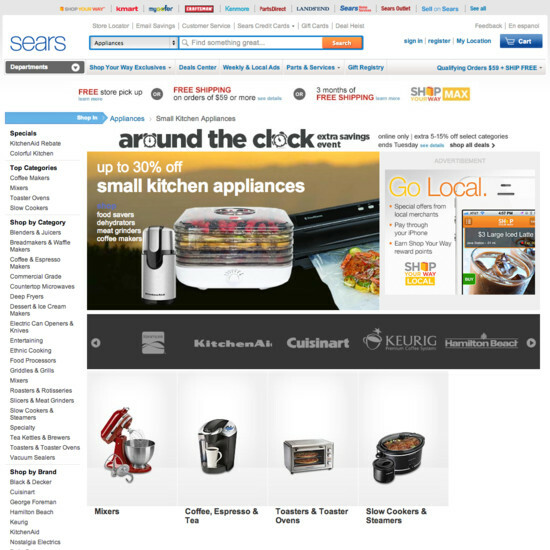 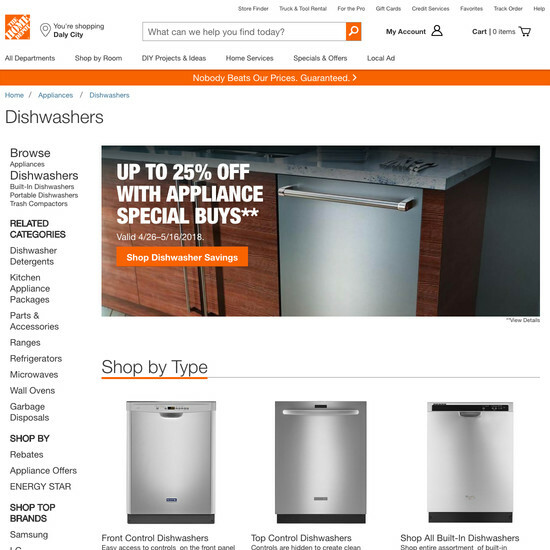 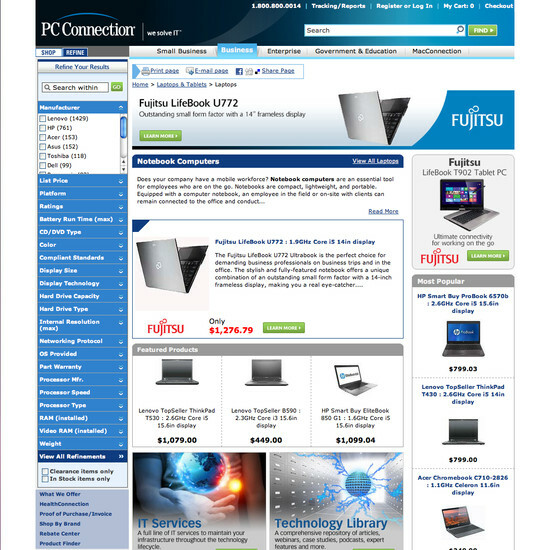 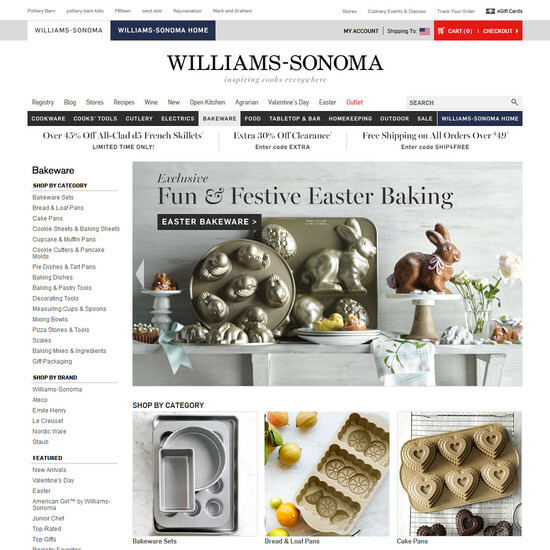 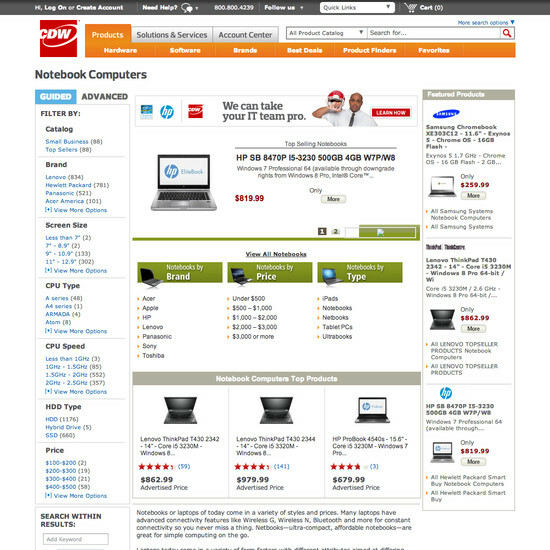 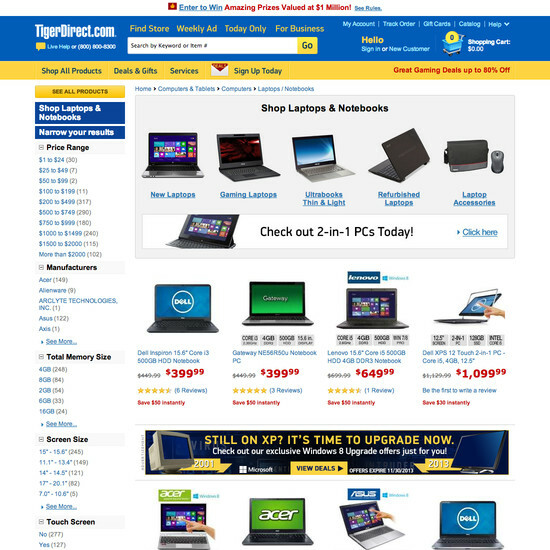 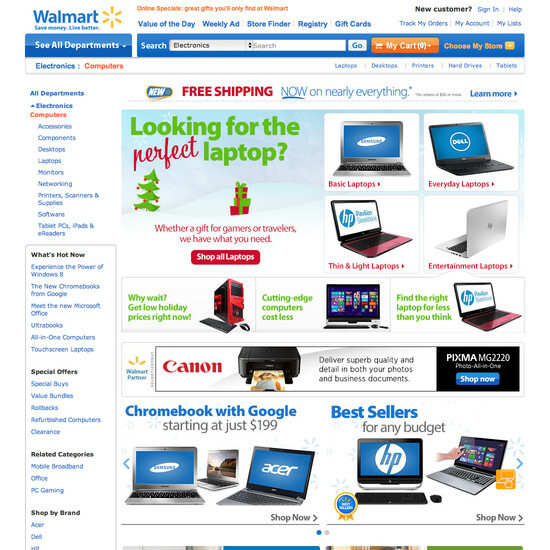 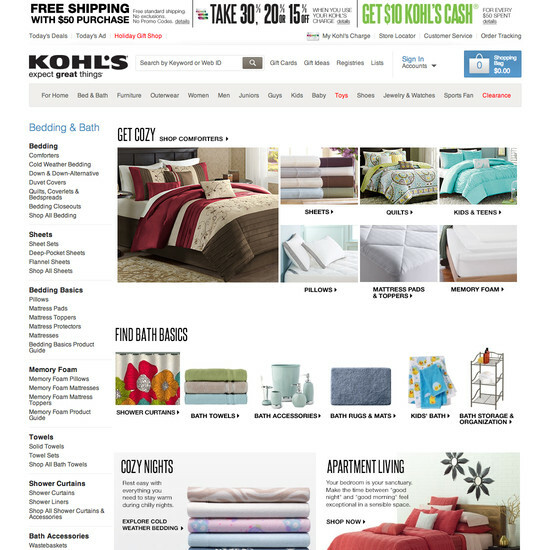 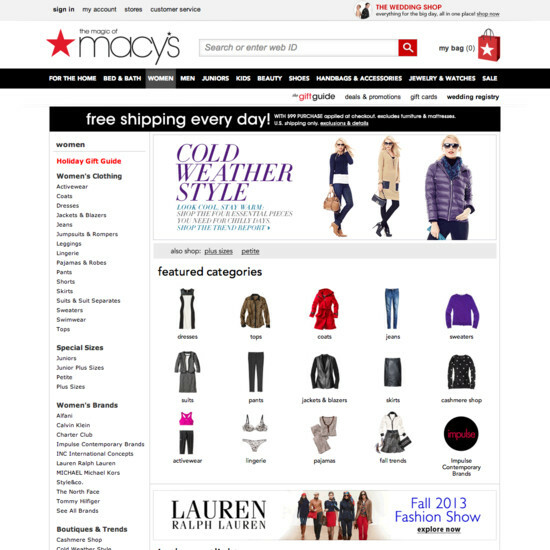 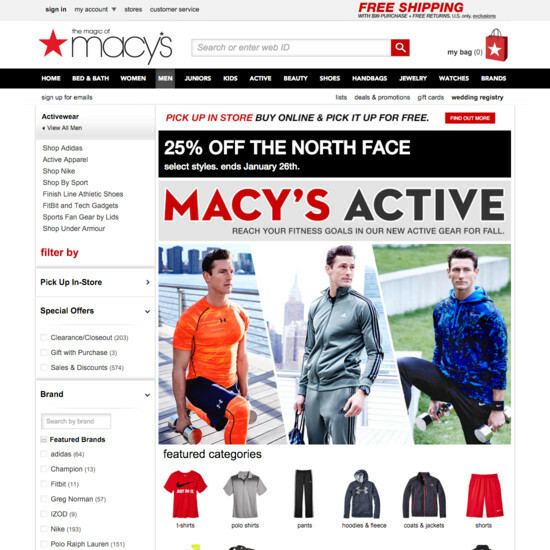 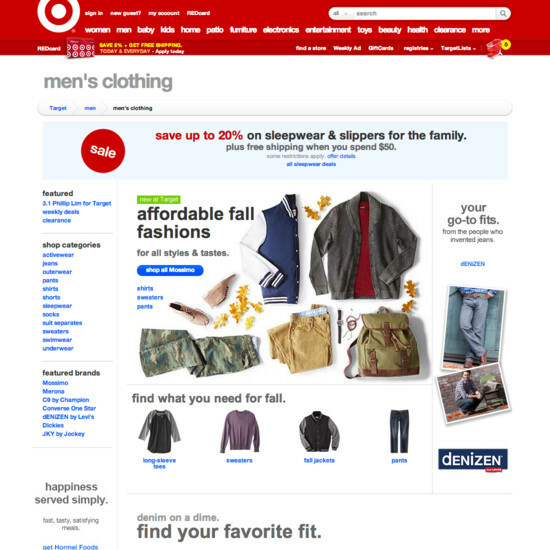 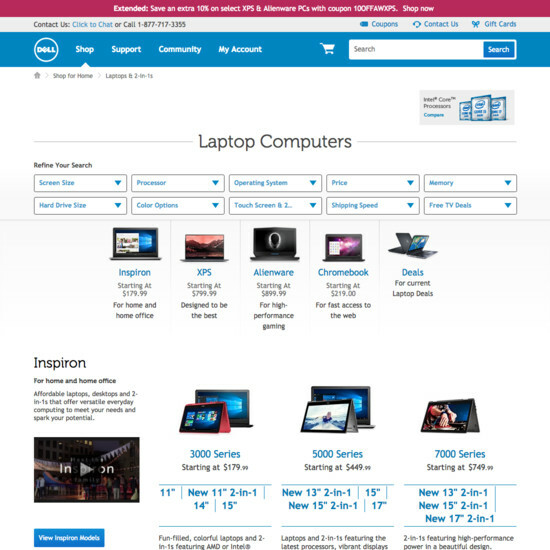 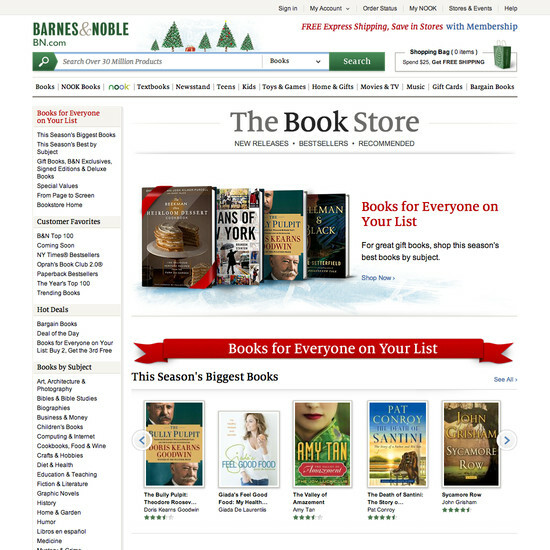 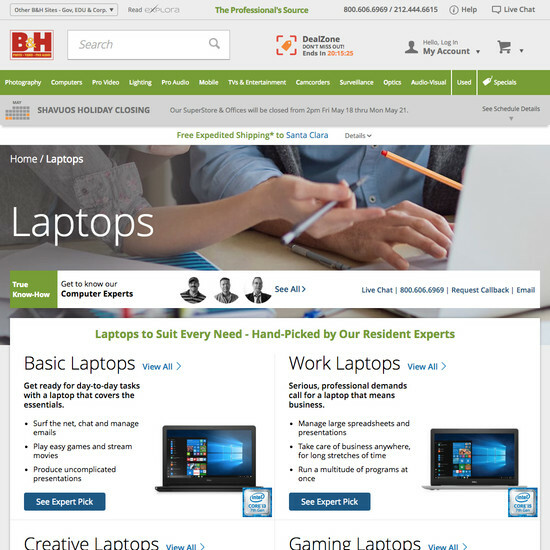 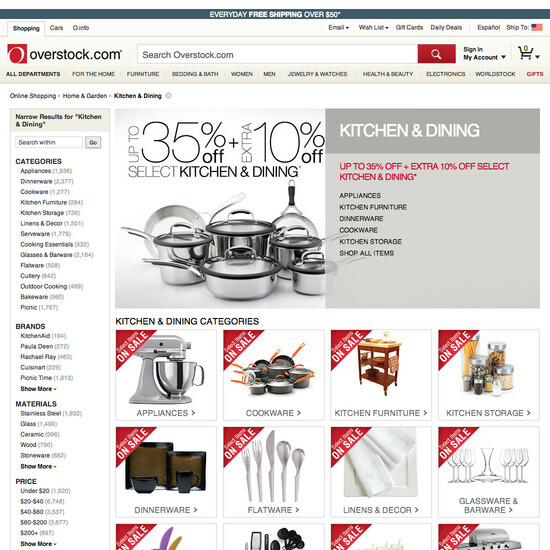 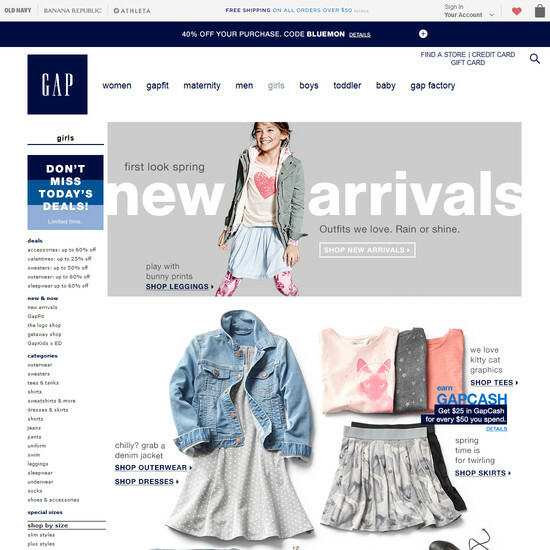 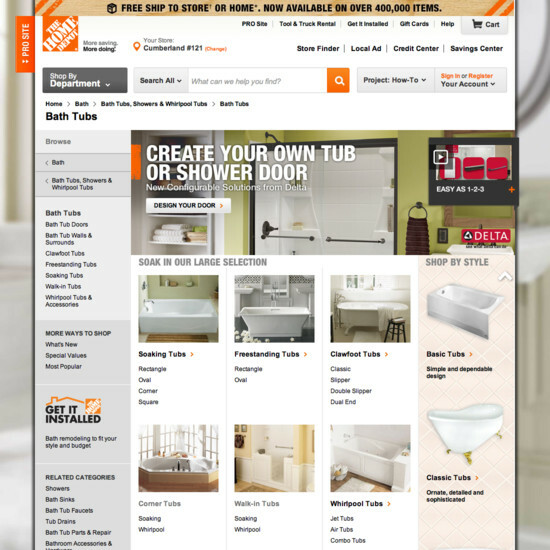 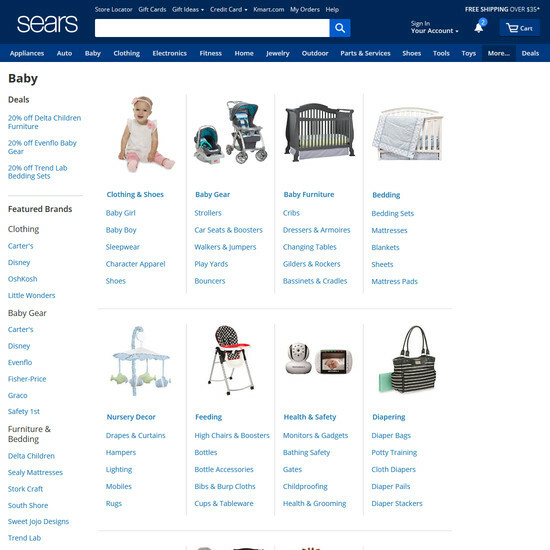 Learn More: Besides exploring the 203 “Intermediary Category Page” design examples below, you may also want to read our related articles on “Implement the First 1-2 Levels of the E-Commerce Hierarchy as Intermediary Category Pages” and “7 Navigational Implementations that Make Kohl’s Best-in-Class”.